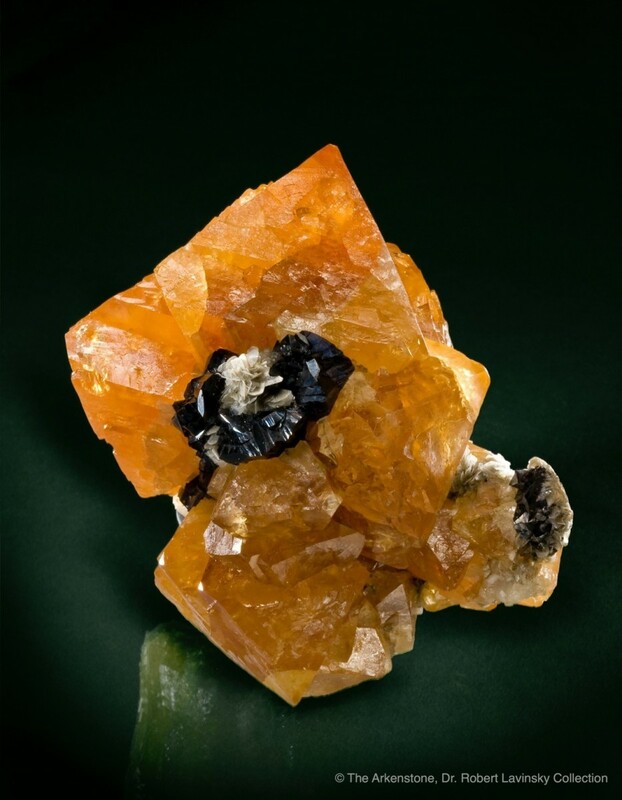 In Anhui Province, 140 mineral deposits have been discovered, 67 of which now have proven ore reserves and, of these, 49 are now being actively mined. 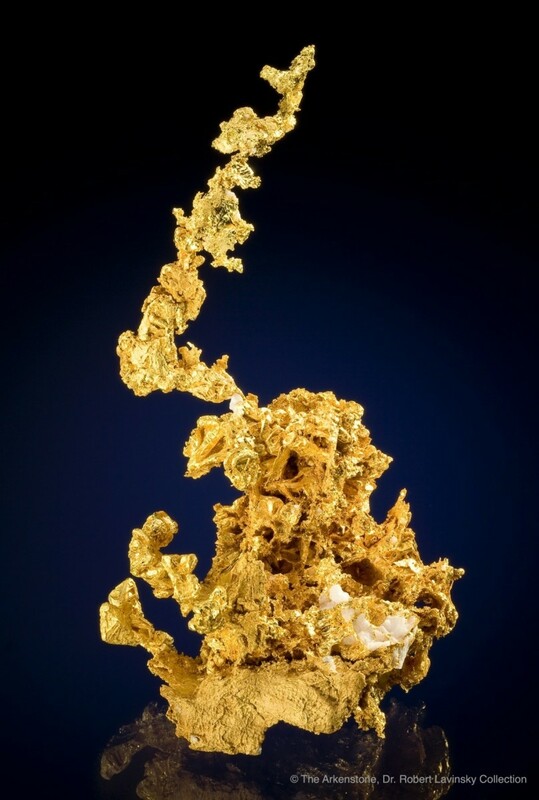 Thirty eight of the ore deposits in Anhui Province rank among the country's largest in terms of reserves. 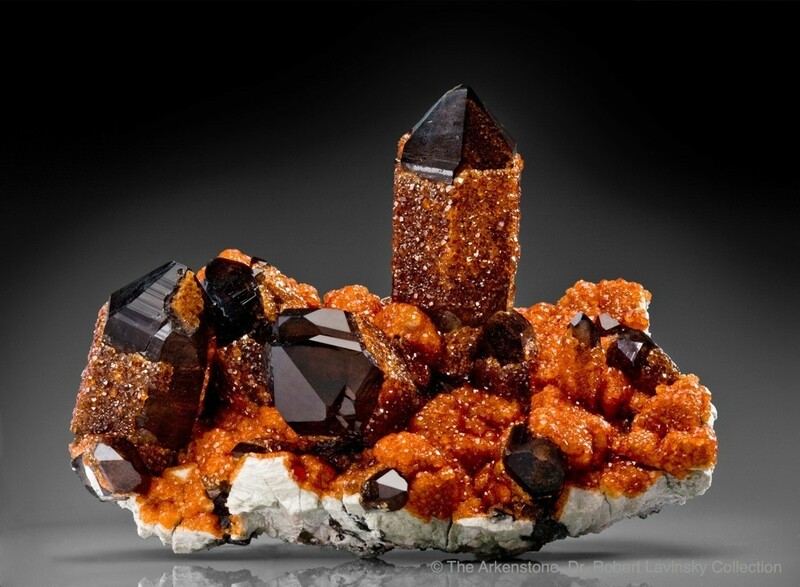 Many fine copper minerals and associated species are found in the Chizhou and Lujiang mining areas of Anhui. 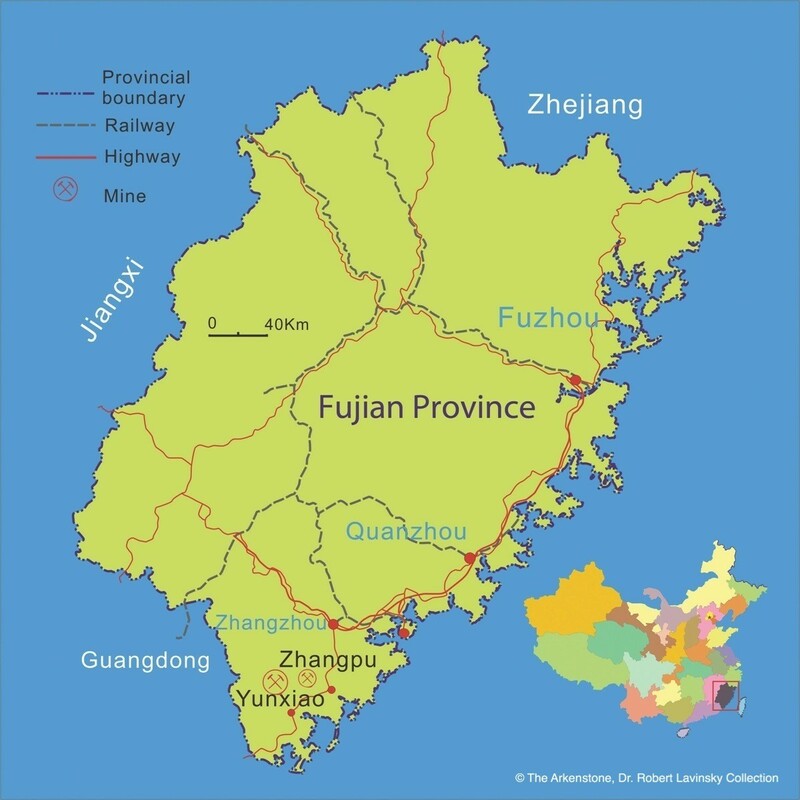 Geological surveys have identified 34 non-metallic and 45 metallic mineral deposits in Fujian province. 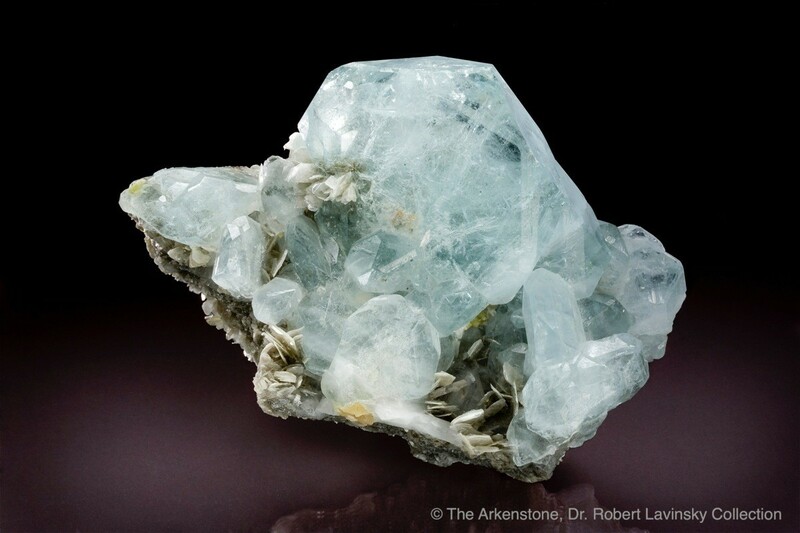 Reserves of pyrophyllite, limestone, kaolin, alunite, granite, fluorite and tungsten are among the largest in the country. 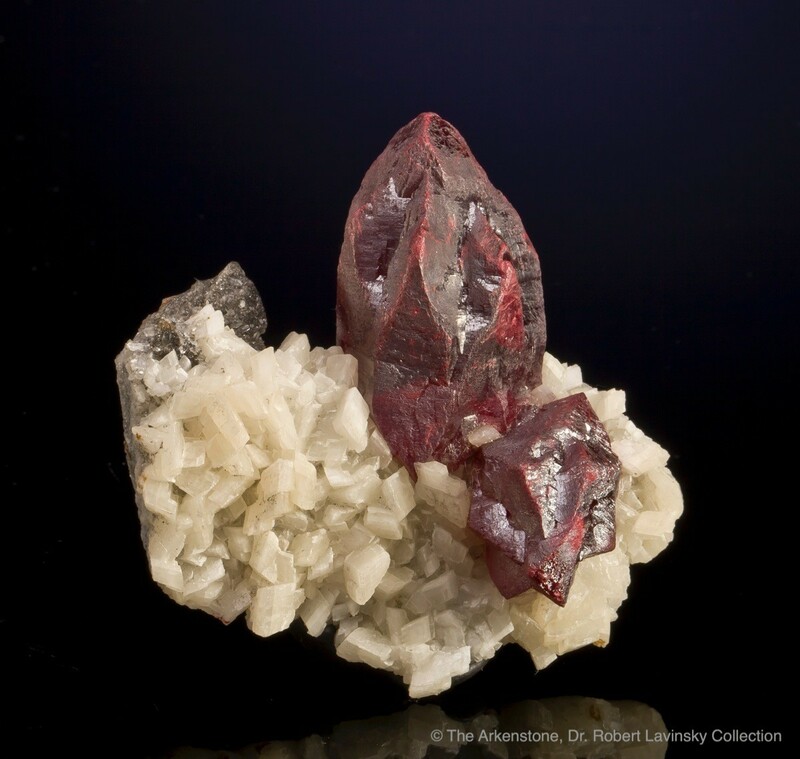 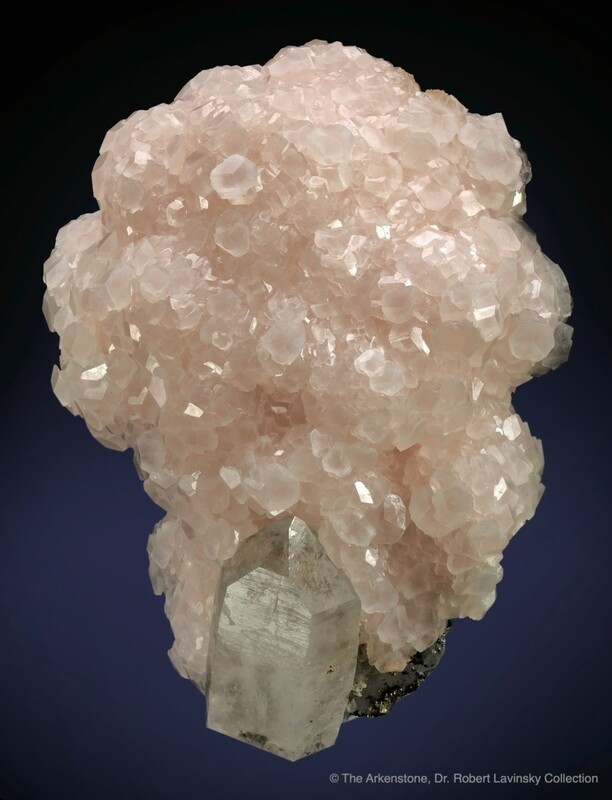 The quartz and garnet specimens from Yunxiao and Zhangpu are popular with mineral collectors worldwide. 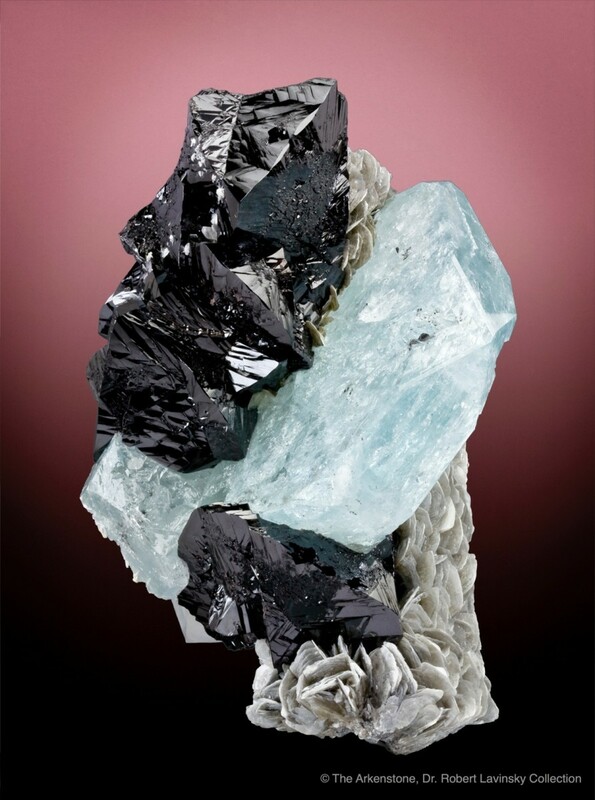 Over 100 mineral deposits have been discovered in Guangdong Province, 89 of which have been studied geologically. 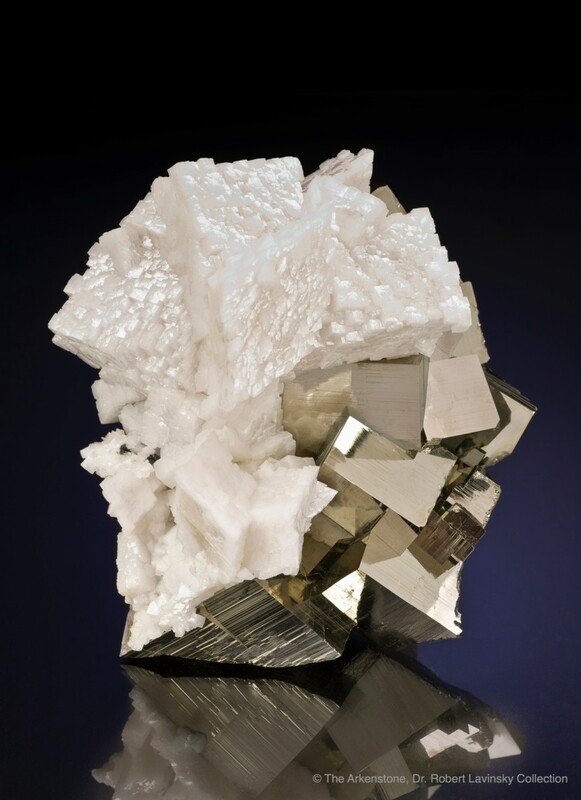 Deposits of lead, bismuth, silver, tin, niobium, tantalum, Iceland spar and zinc are the most abundant, playing an important role in provincial industrial development. 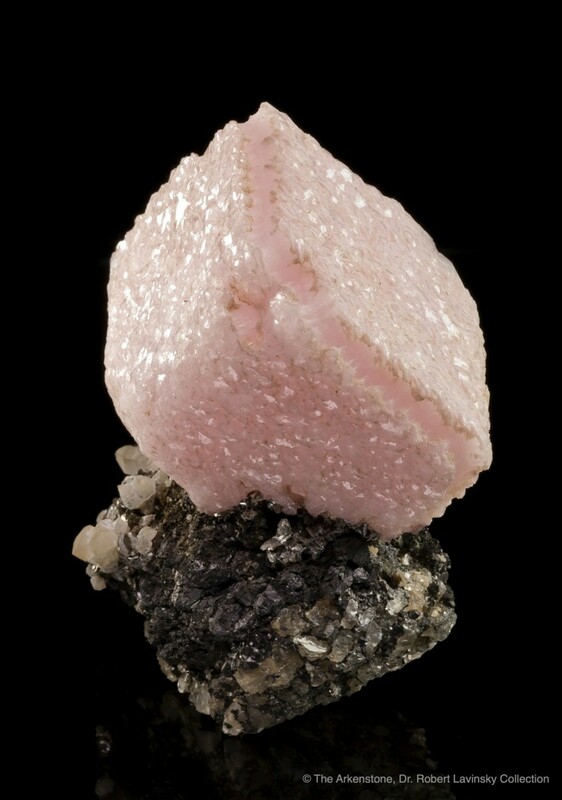 The Pingtouling mine in Liannan, the Shilu mine in Yangchun, and the Yangshan and Ruyuan mines are famous as specimen producers. 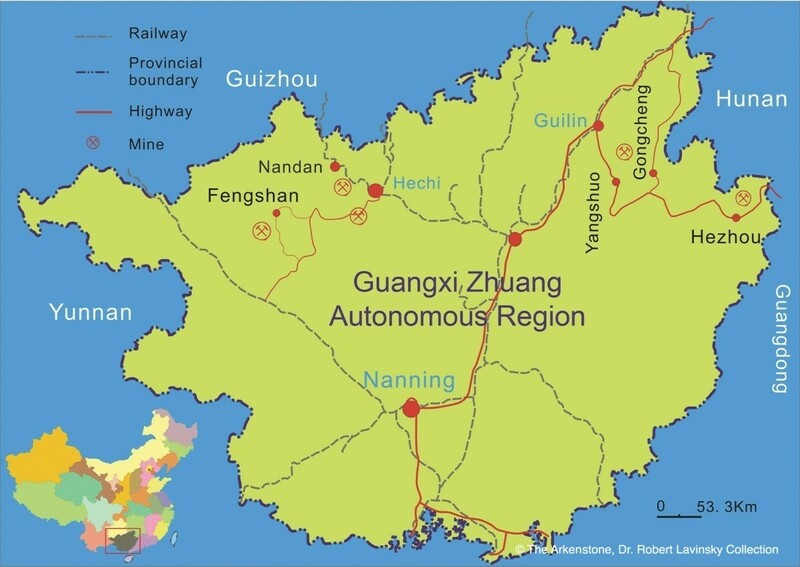 Bordering Vietnam, the Guangxi Zhuang Autonomous Region has a unique topography of karst caves and spectacular natural features that attract tourists from all over. 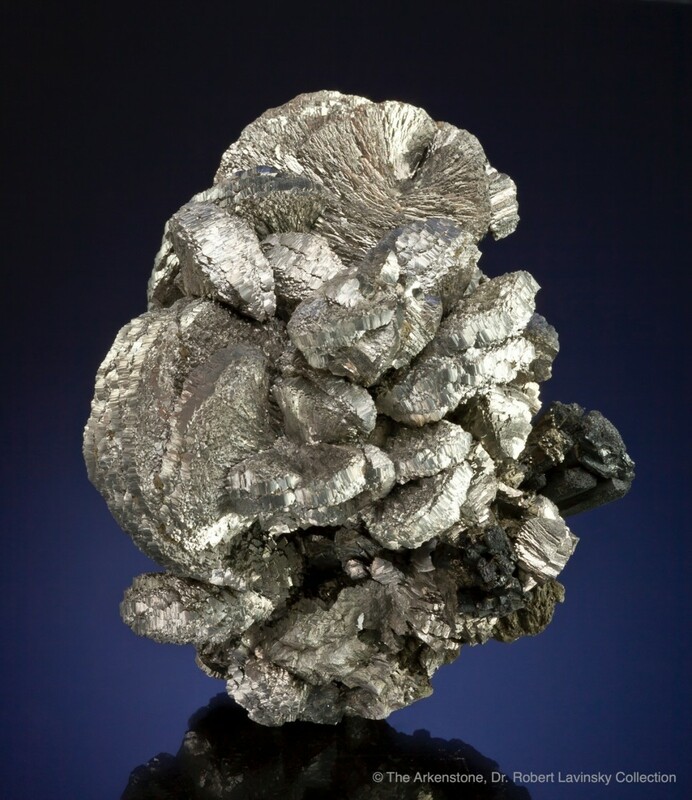 The province is a key production center for non-ferrous metals and contains over a third of all of China’s tin and manganese deposits. 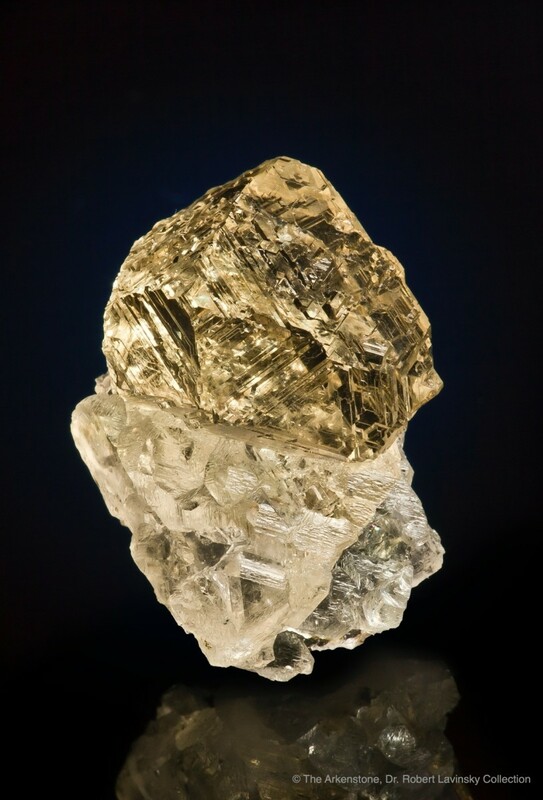 Famous mineral localities in the province include the Daoping lead mine, the Dafeng kermesite occurrence and the Dachang tin-polymetallic orefield. 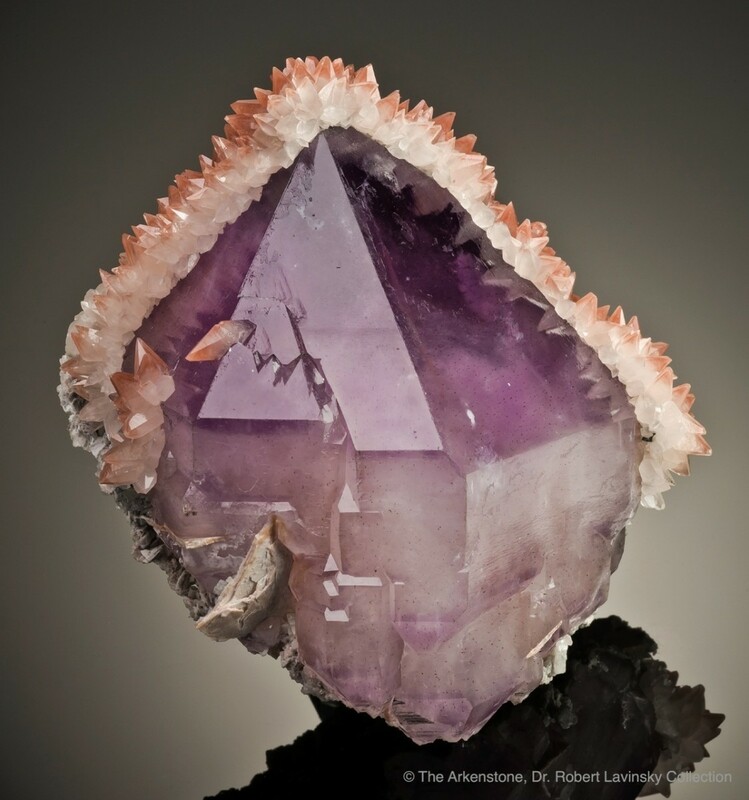 For ordering information, please contact Kevin Brown at americanminerals@yahoo.com. 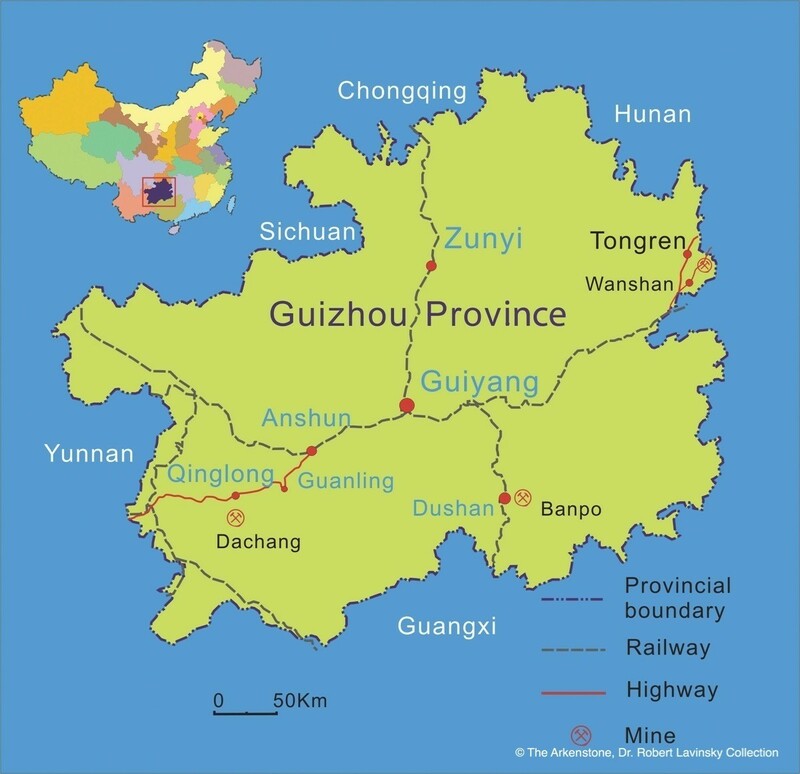 Guizhou is characterized by high elevation and mountainous geography. 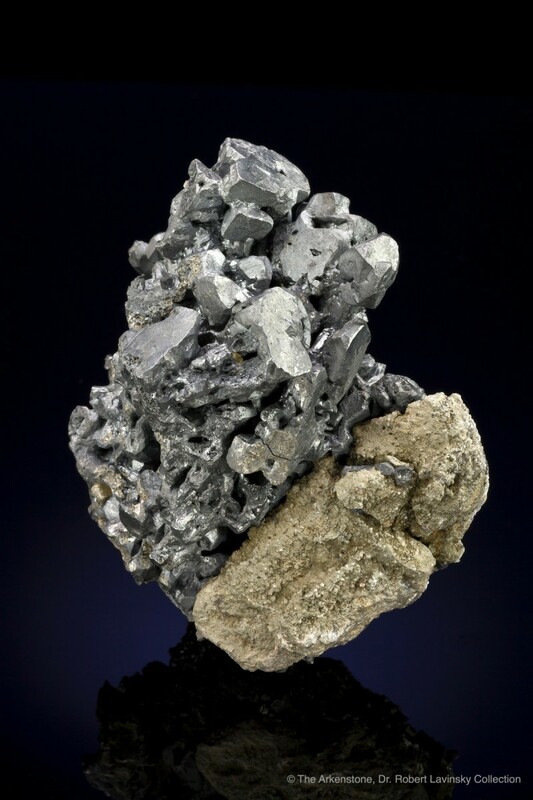 Geologic studies have revealed 14 mineral deposits in Guizhou Province, in which the reserves of mercury, manganese, aluminum and antimony are the third largest in China. 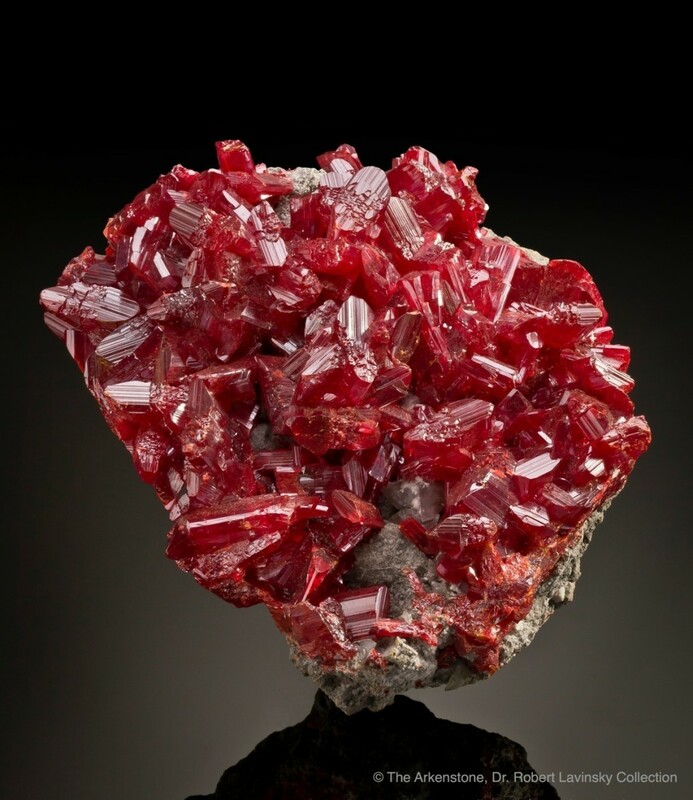 Although there is considerable mining going on there, collectible minerals are only known from the Wanshan-Tongren, Qinglong and Dushan mining areas. 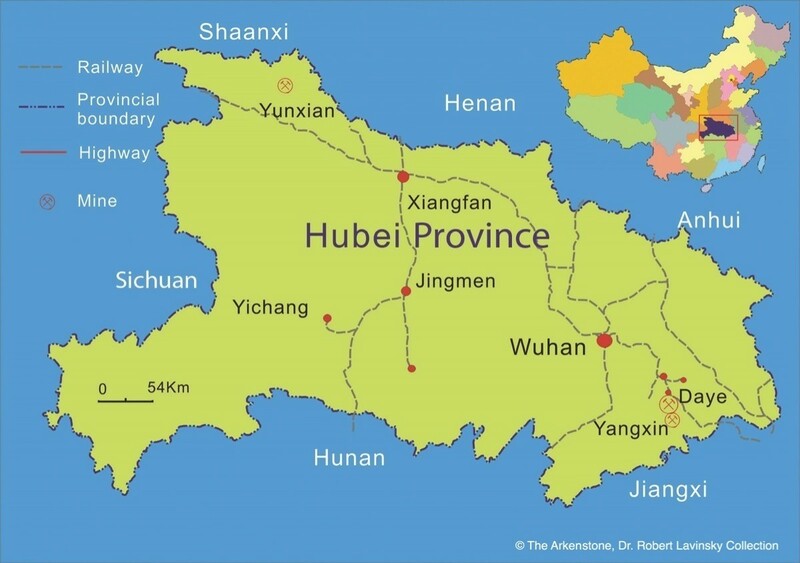 Hubei Province is situated along the middle reaches of the Yangtze River, north of Dongting Lake. 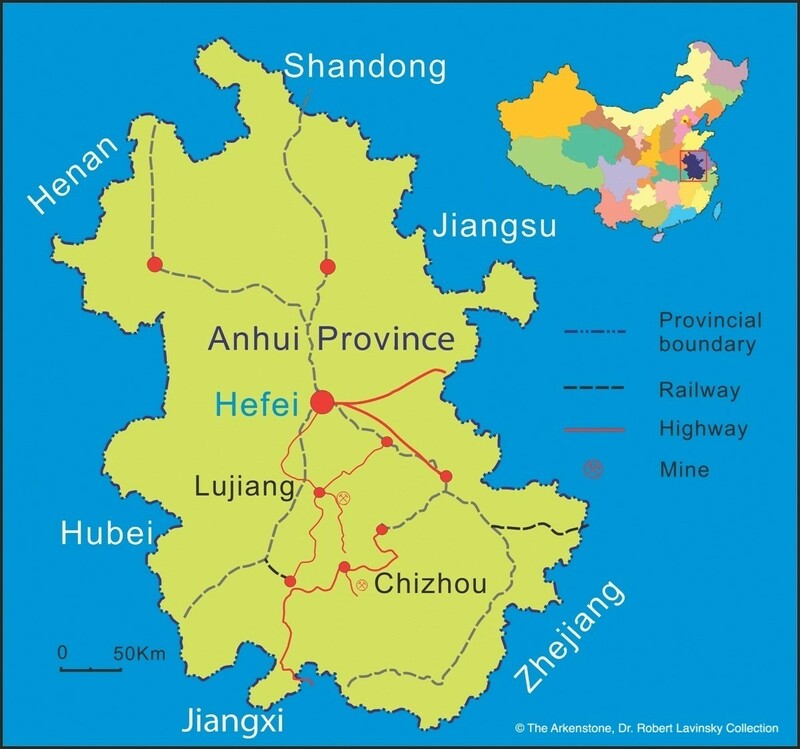 Hubei has some of the largest ore reserves in China; they include deposits of phosphorus, clay minerals, bromine, iodine, copper, gypsum, limestone and barite. 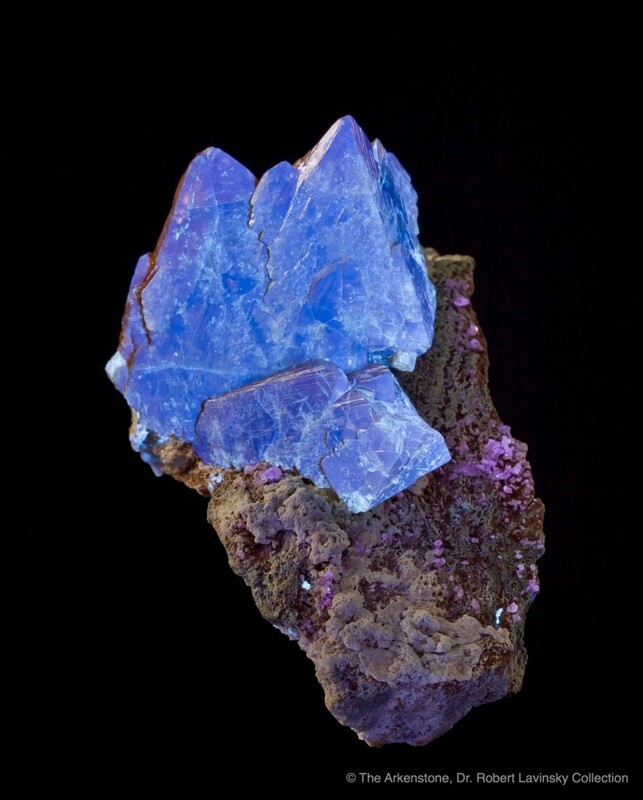 The Daye area has a history of mining going back over 3,000 years, and mines are still active there today. 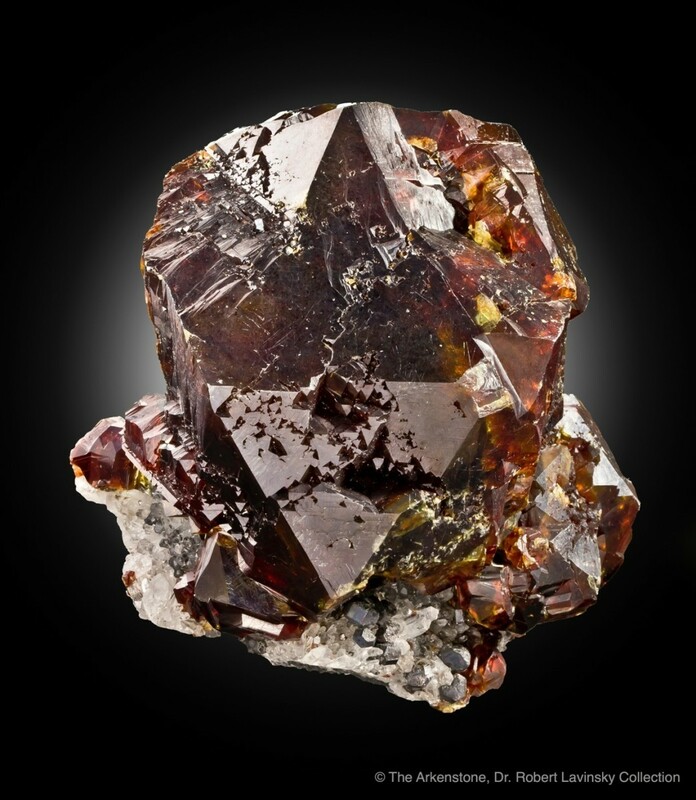 The Tonglushan and Fengjiashan mines in Daye County have been important specimen producers. 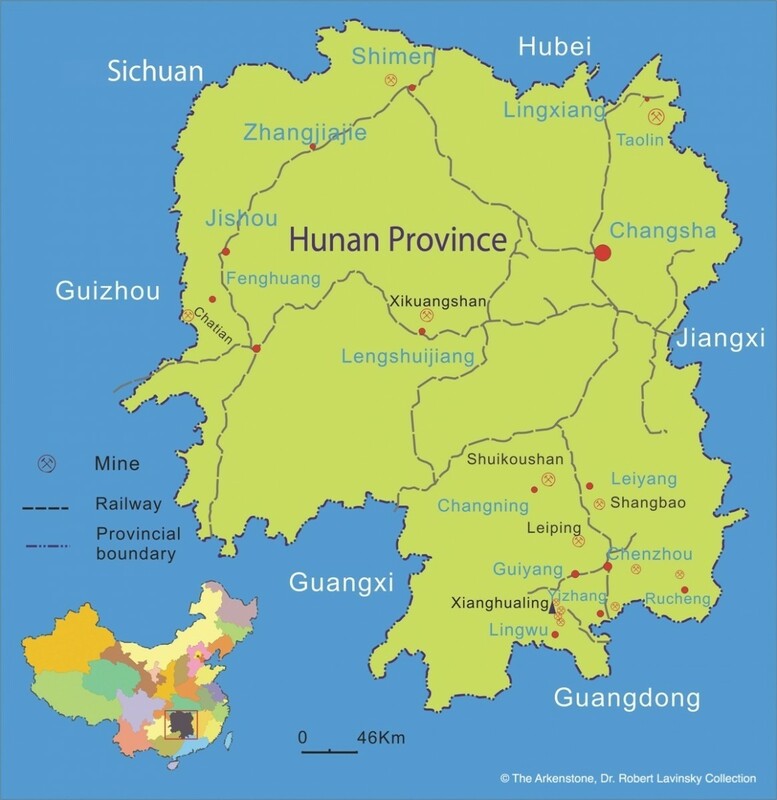 Hunan has long been known for its abundant mineral resources and natural beauty. 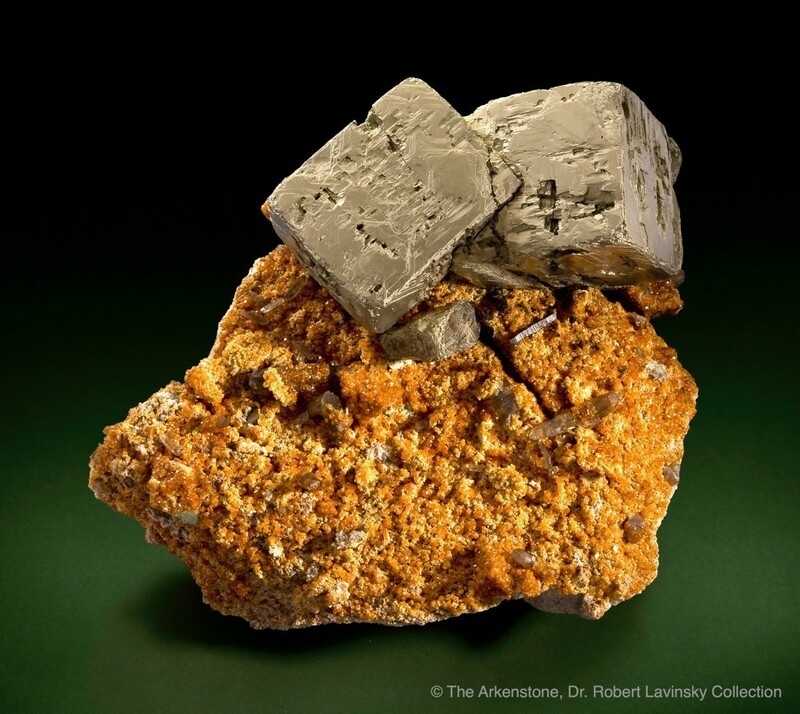 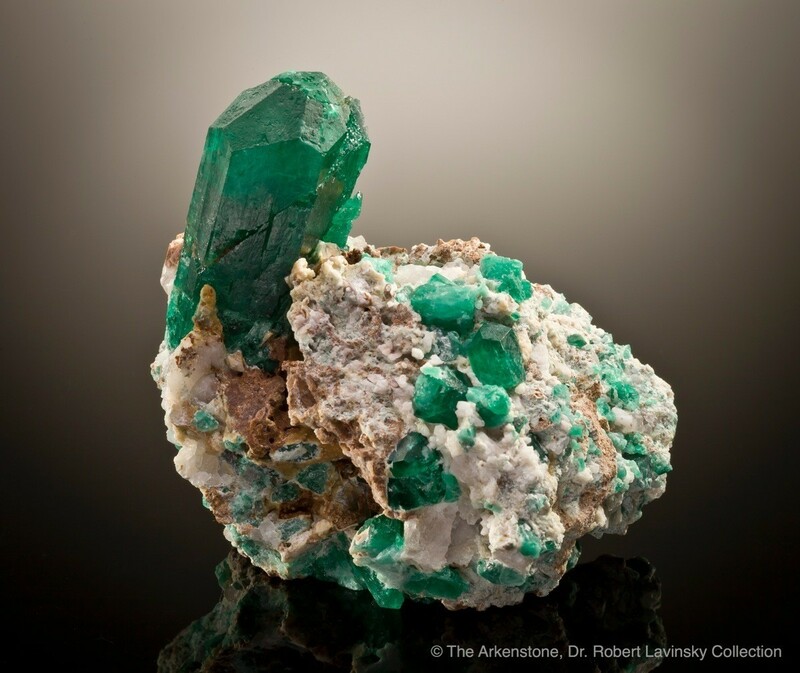 There are over 6,000 non-ferrous mines in the province, some of which have produced exceptional mineral specimens. 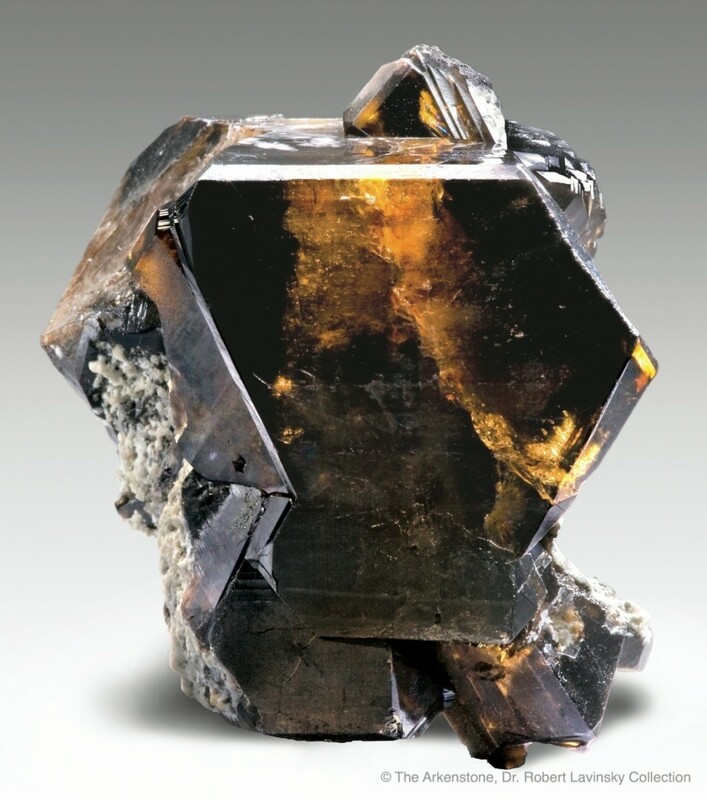 Important localities include the Shimen realgar mine and the Xikuangshan antimony mine in the northern and central districts, the Shangbao pyrite mine, the Leiping polymetallic mine, the famous Yaogangxian tungsten mine, the Xianghualing and Xianghuapu tin-tungsten mines and the Dongshan tungsten mine in southern Hunan. 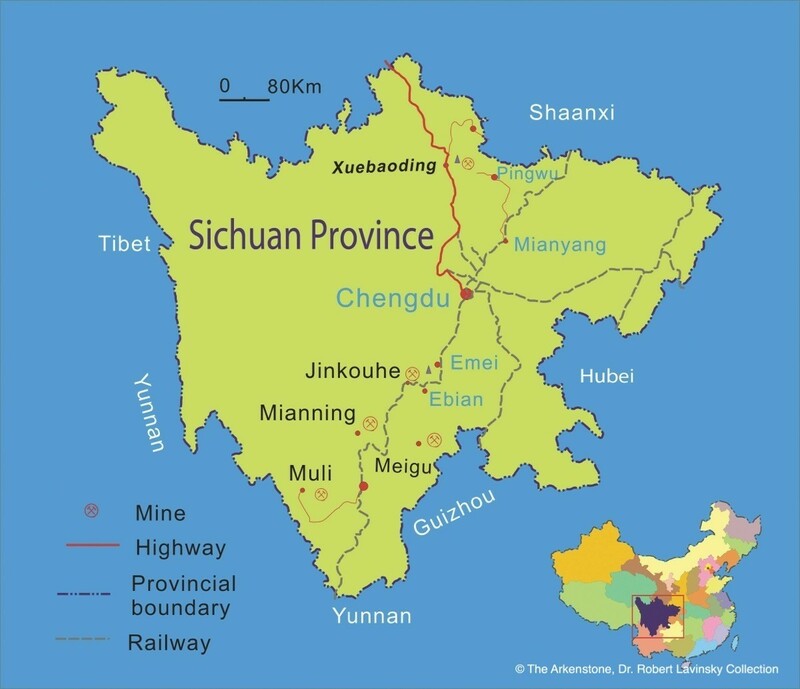 Inner Mongolia is a sparsely populated region sandwiched between the People’s Republics of Mongolia and China. 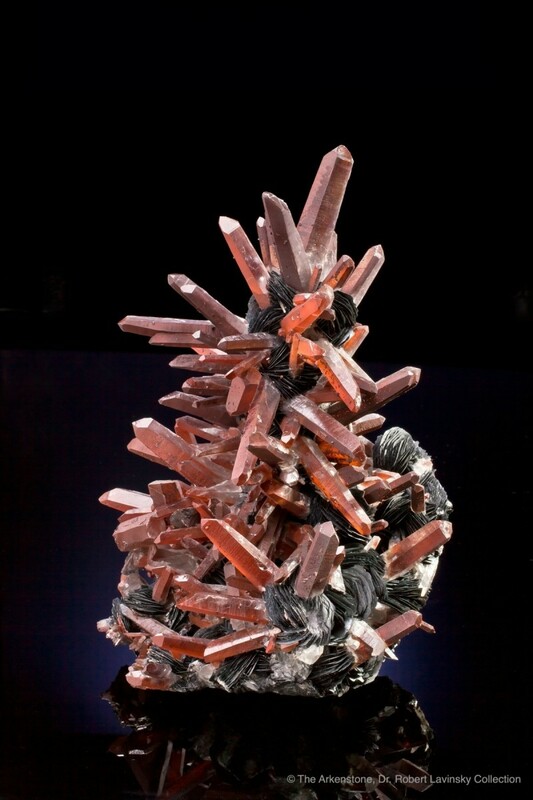 Many rural people still live in the traditional Mongolian yurt tents made of colorful fabric or yak hides. 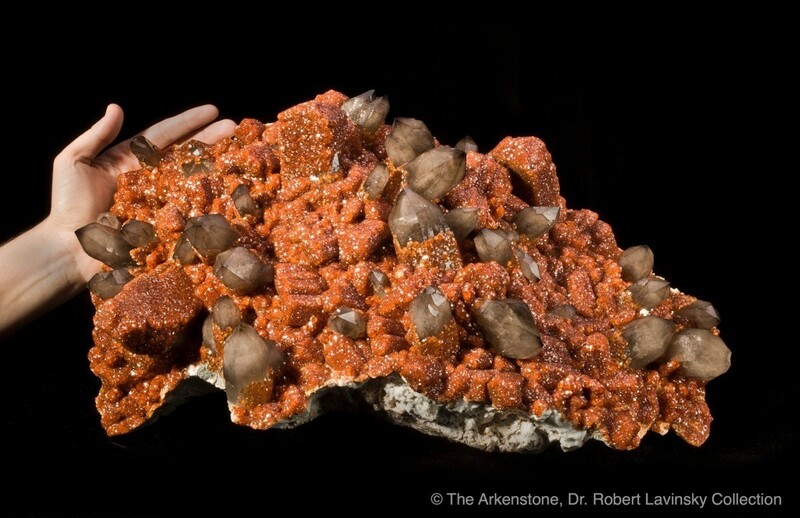 The mines here have been in operation for decades, but until recently almost no specimens reached the market, and consequently it was assumed that the Inner Mongolian deposits long known for their politico-economic importance for rare earth elements simply did not produce good specimens. 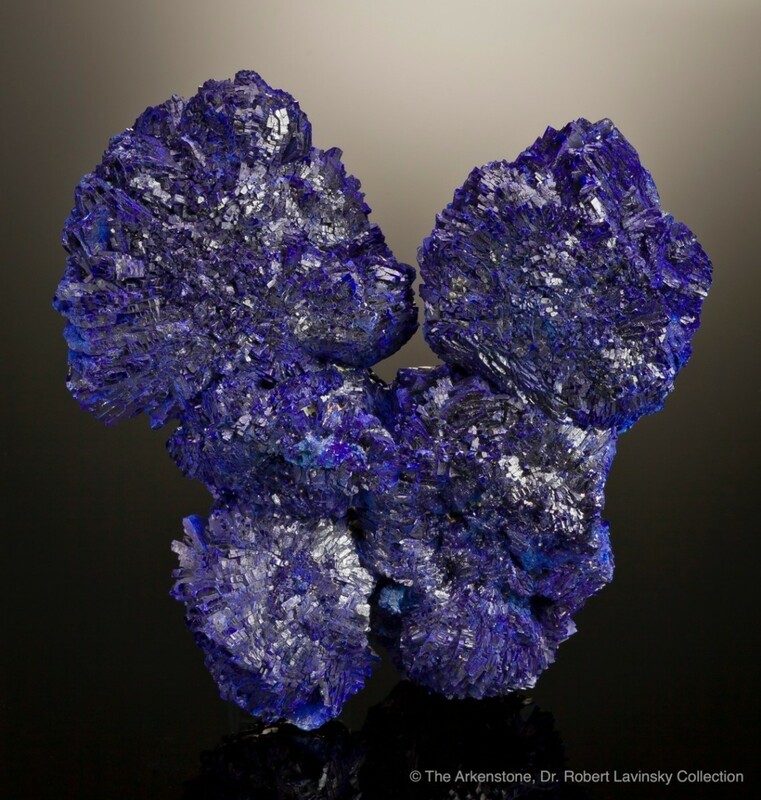 The truth was, however, that the miners simply did not know of the outside market or the value of specimens, and so they did not bother saving any. 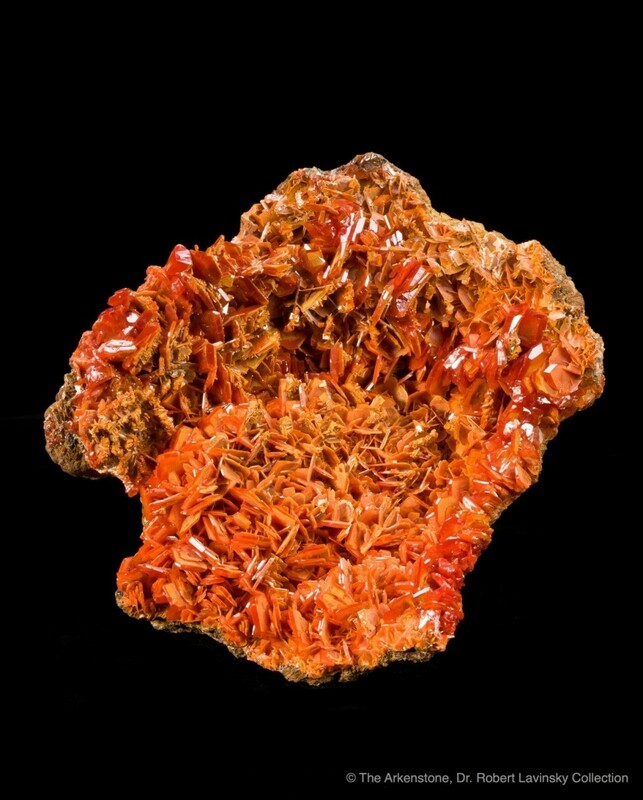 As of 2006, when Dr. Guanghua Liu published his book, Fine Minerals of China, Inner Mongolia was not known as a source of specimens and was not mentioned. 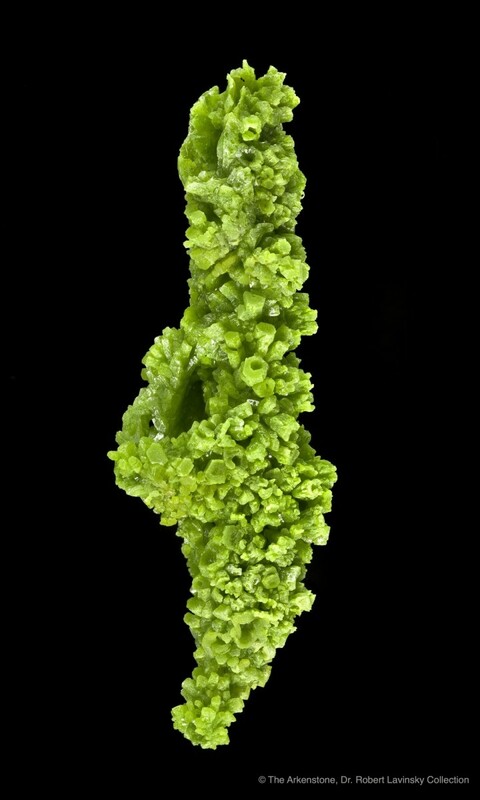 Specimens finally began emerging in late 2007. 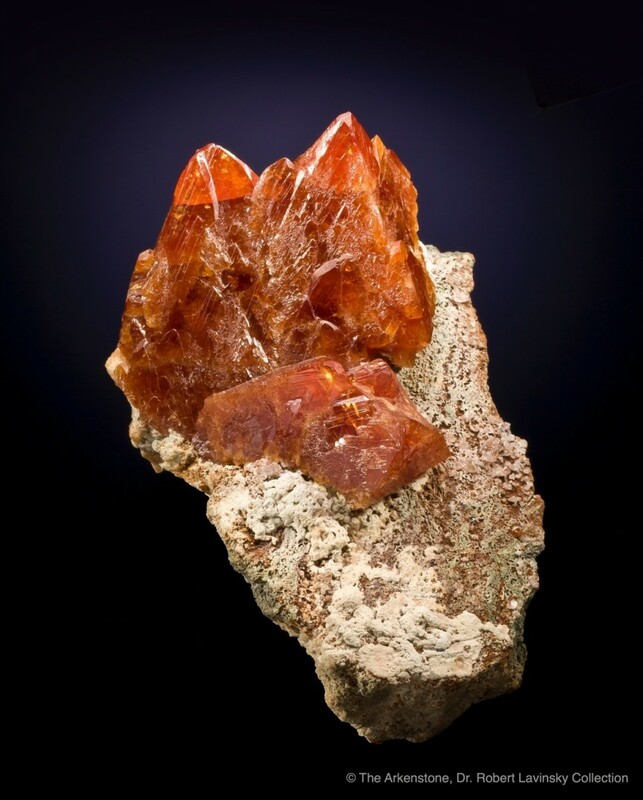 The Huanggang deposit has the potential to become one of China’s most productive mineral occurrences for specimens, rivaling the Dalnegorsk deposits in Russia and the famous Yaoganxian and Shangbao deposits in Hunan Province. 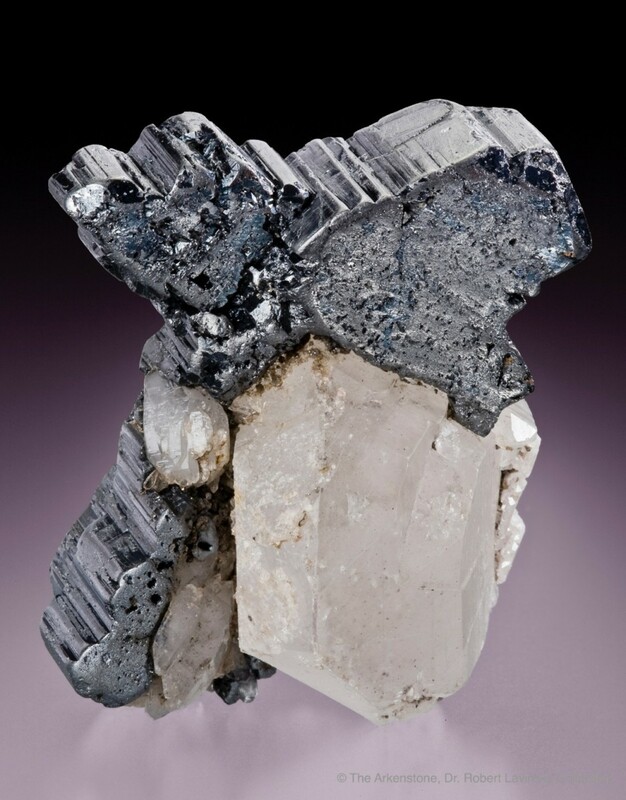 Because the education of the Huanggang miners has progressed so rapidly, and the dealers involved are expediting specimens to market so quickly, this locality is becoming the first “Internet age” Chinese mine; minerals are flowing from the mine to the market in better quality, greater quantity, and in less time than ever before at other Chinese mines. 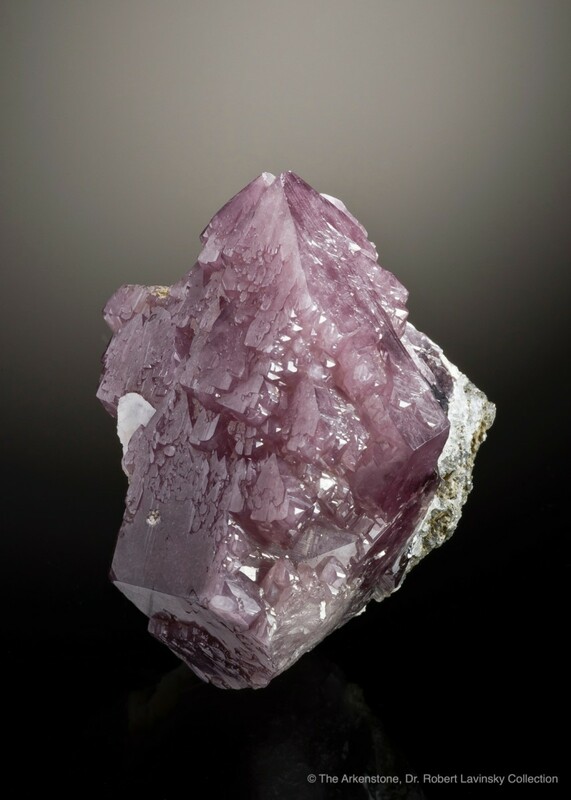 In the Huanggang area, as in many other mining districts, the new mineral specimen economy will fundamentally change the lives of many of the miners. 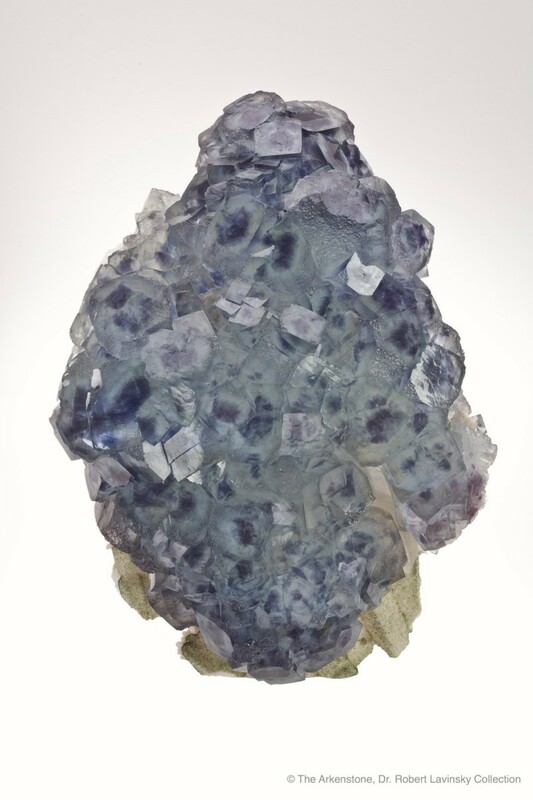 And for collectors, this abundance presents a fine opportunity to collect specimens from a plentiful new locality at the start of its heyday. 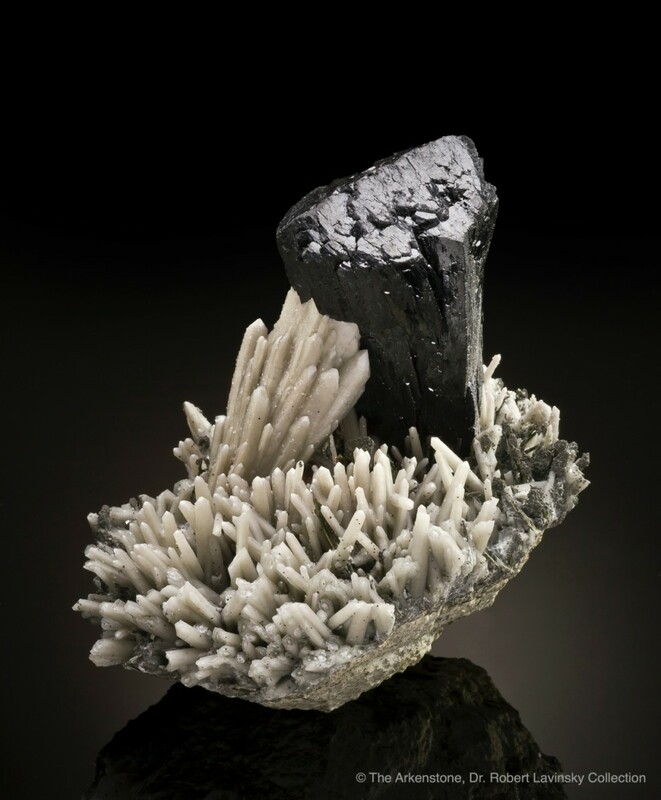 Chinese culture has always been intricately interwoven with an appreciation for nature on an artistic level, and Westerners might think that this would be an ideal orientation for the growth of mineral collecting. 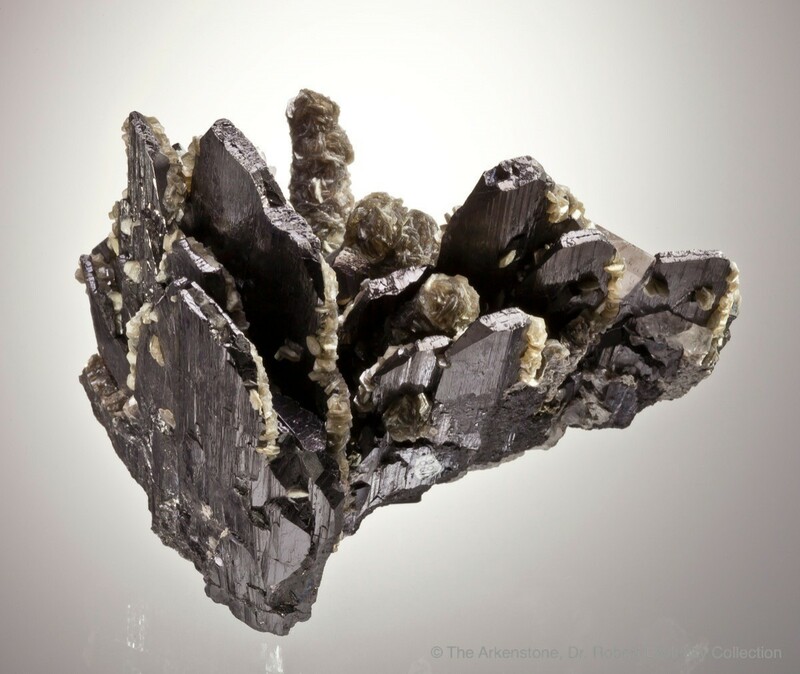 However, very few Chinese had access to the products of mines, or wanted to venture underground in such dangerous places. 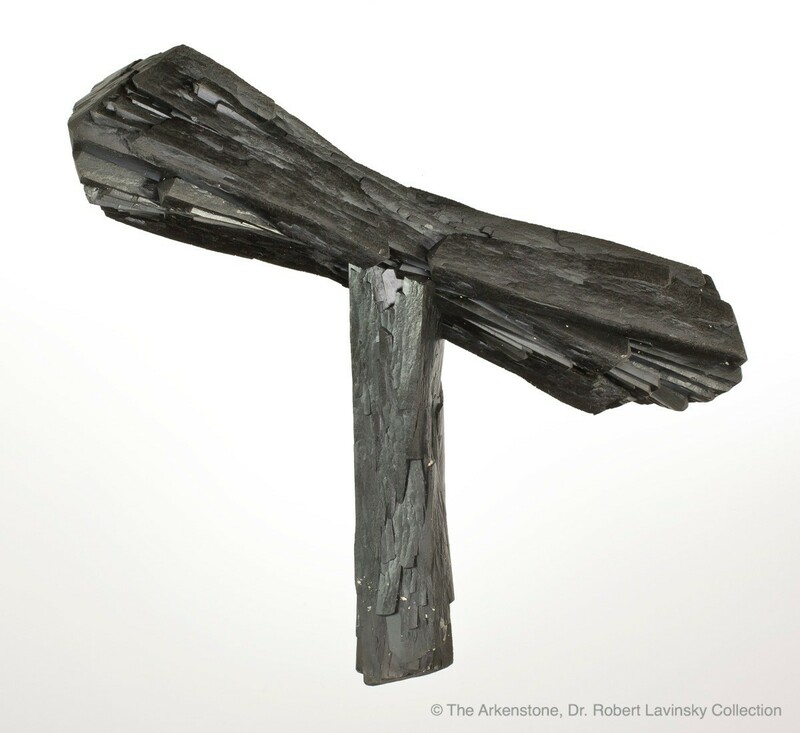 What developed, in contrast to the Western cultural tradition of housing mineral specimens with other natural history items in “Cabinets of Curiosities,” was an appreciation of the sculptural quality of naturally shaped rocks and boulders which became known as “scholars’ stones” or “view stones.” These are examples of what Westerners would call “found art,” stumbled upon in the streams and valleys of China by hikers and wandering scholars. 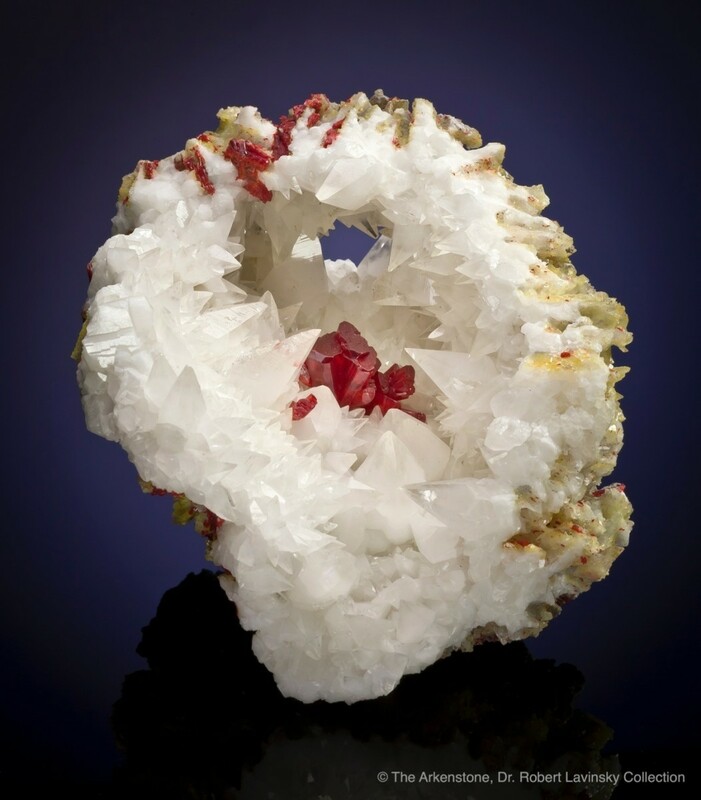 View stones have always had an inspirational, aesthetic appeal for the Chinese. 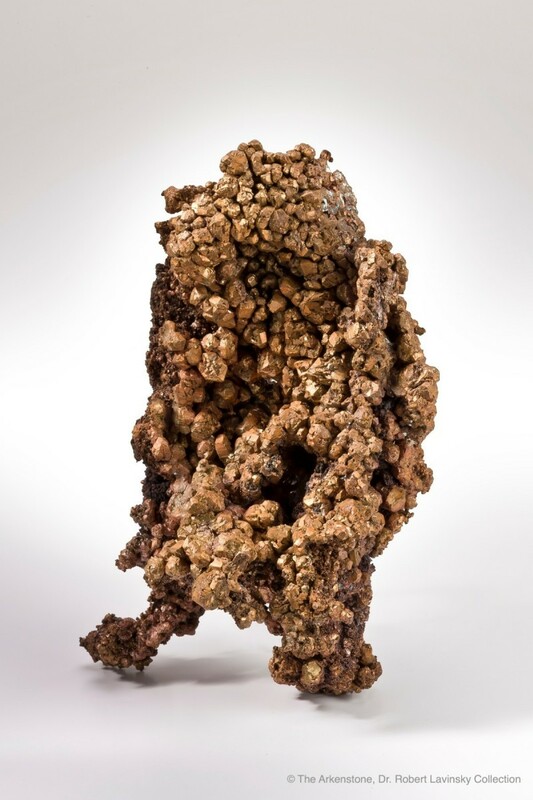 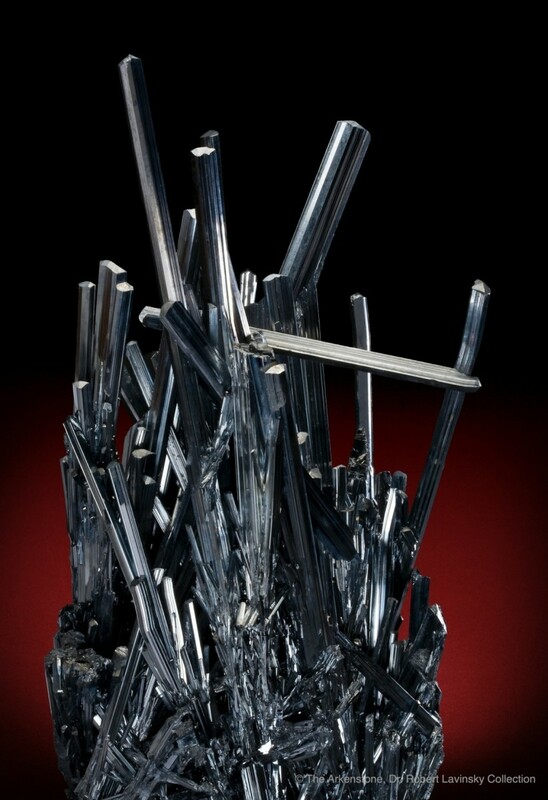 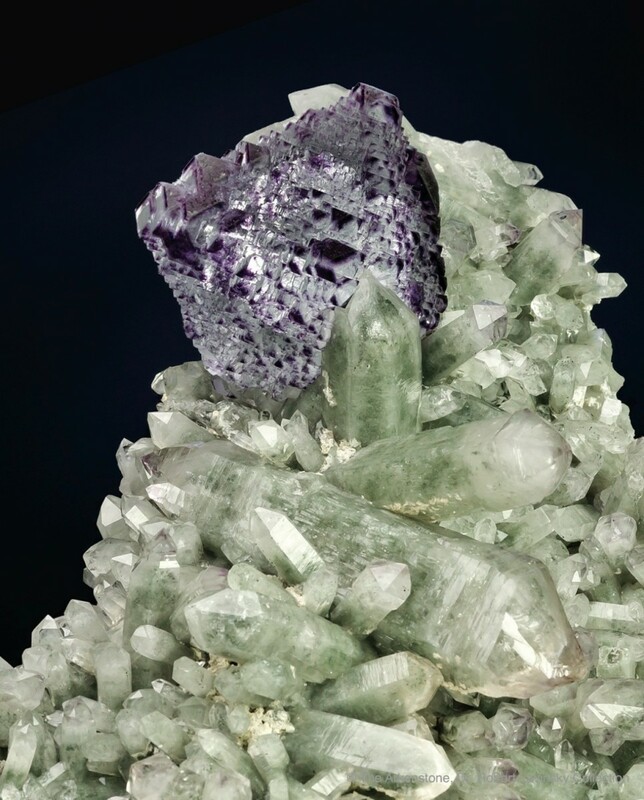 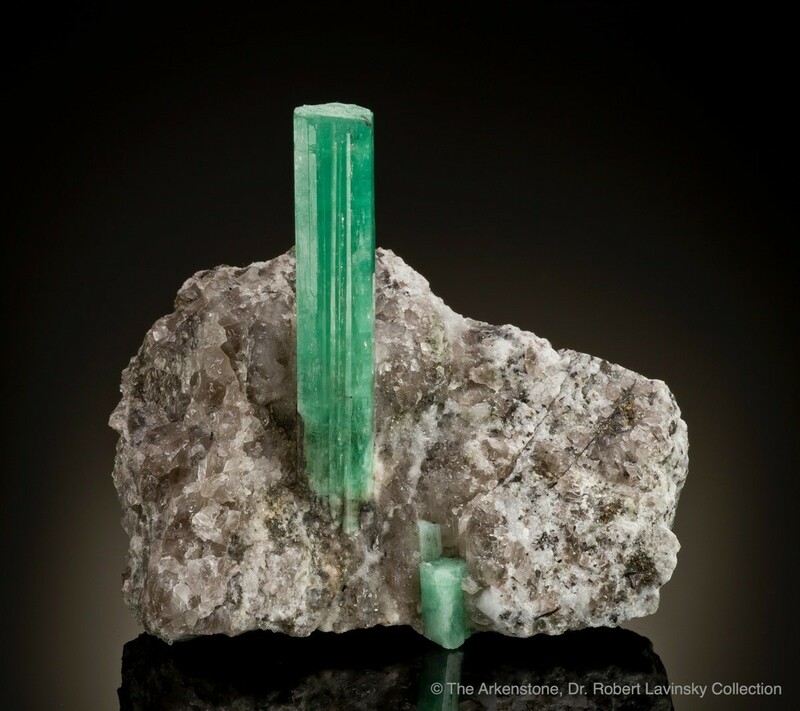 Since they did not come from mines and did not represent “mineral wealth” in any intrinsic sense, the Chinese collectors cared nothing for the actual mineralogical or petrological content of the specimens. 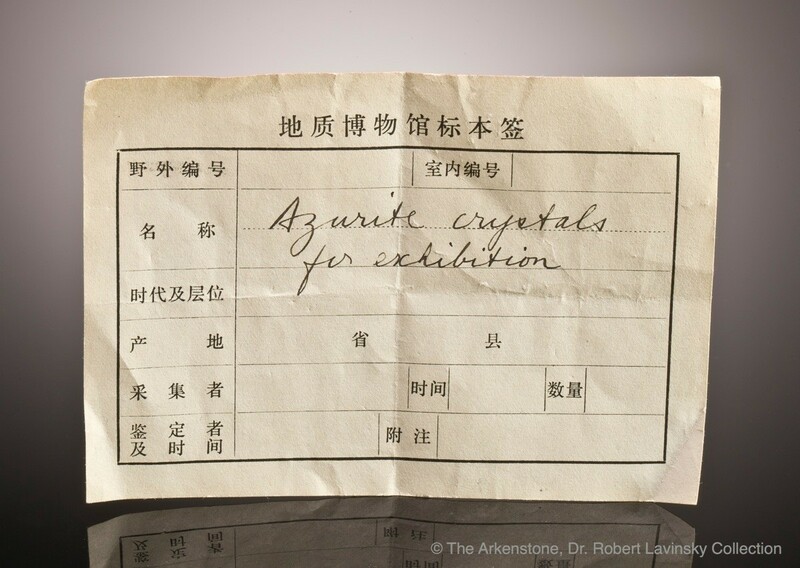 Even today, Chinese museums largely reflect this preference. 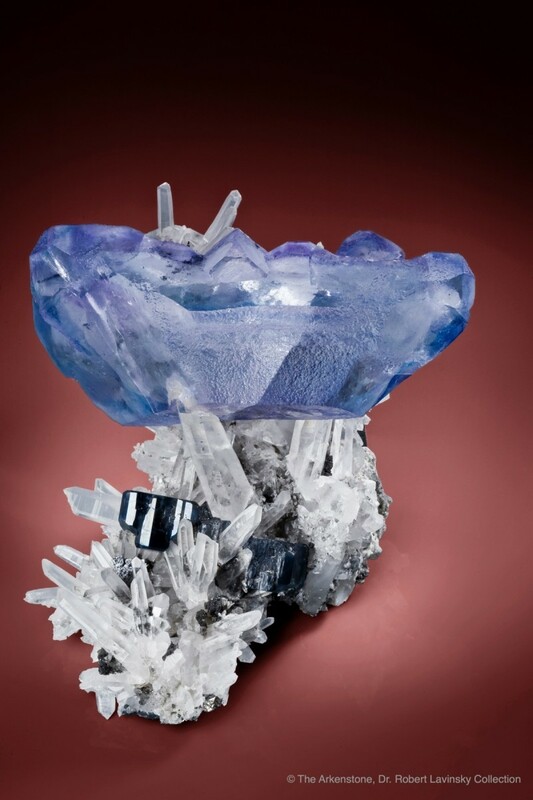 In modern times, the Chinese populace, now including a very prosperous and growing middle class, has finally begun to turn its eye toward the sculptural and colorful aesthetics of actual crystallized mineral specimens—especially those found in China, where mining is now a major industry, and where miners have a new financial incentive to preserve specimens for private sale. 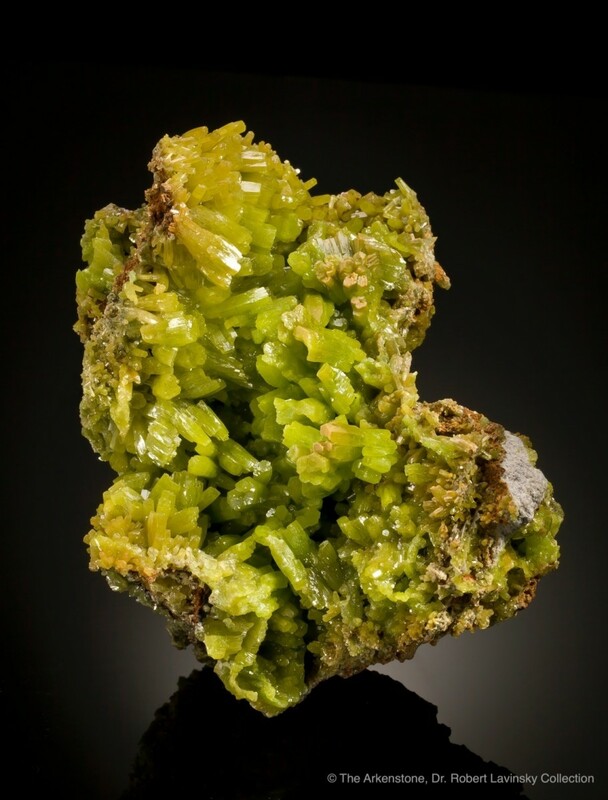 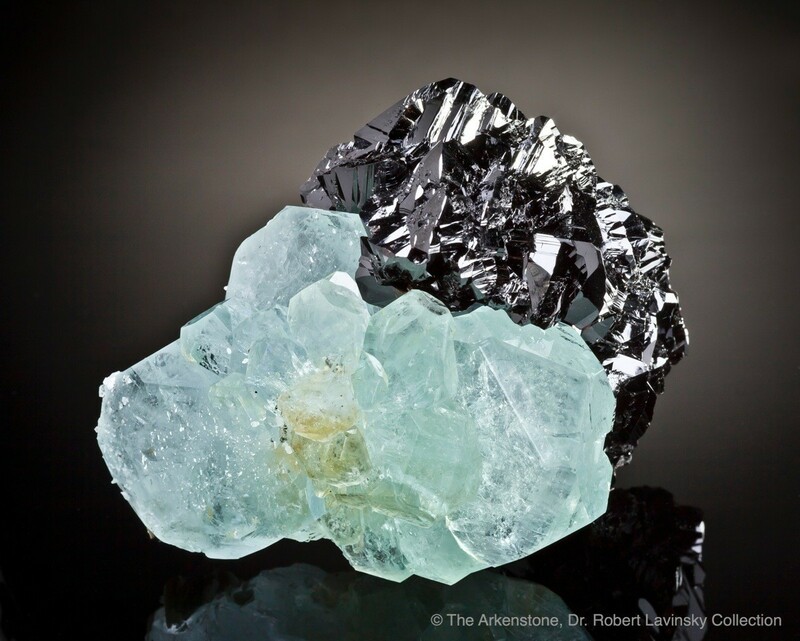 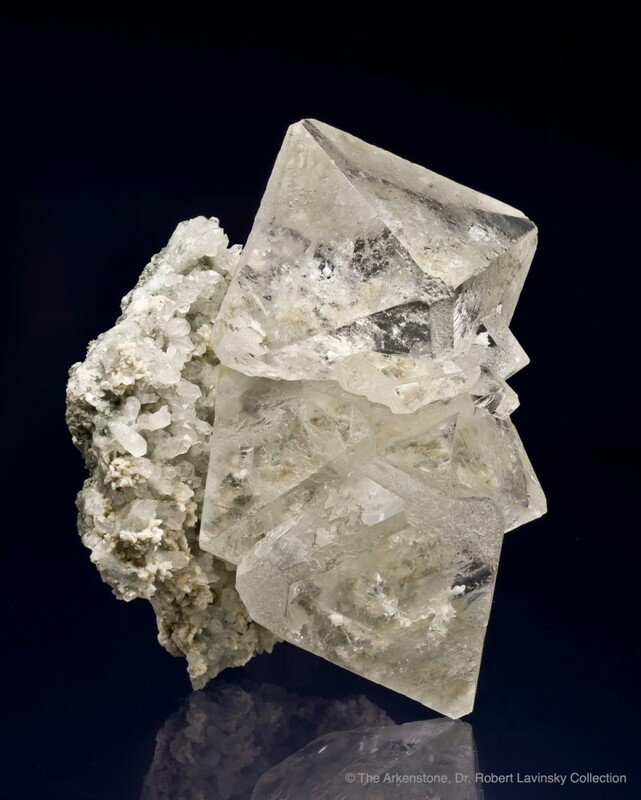 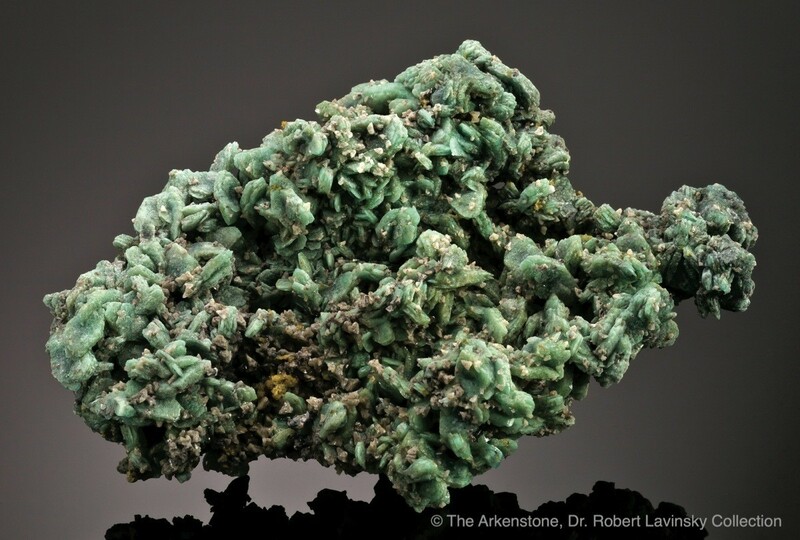 Fortunately, the awareness of the value of fine mineral specimens has been widespread in China since at least the mid-1980s, and consequently many miners have been involved in collecting mineral specimens to resell—primarily to Americans who have then distributed them to the rest of the mineral world. 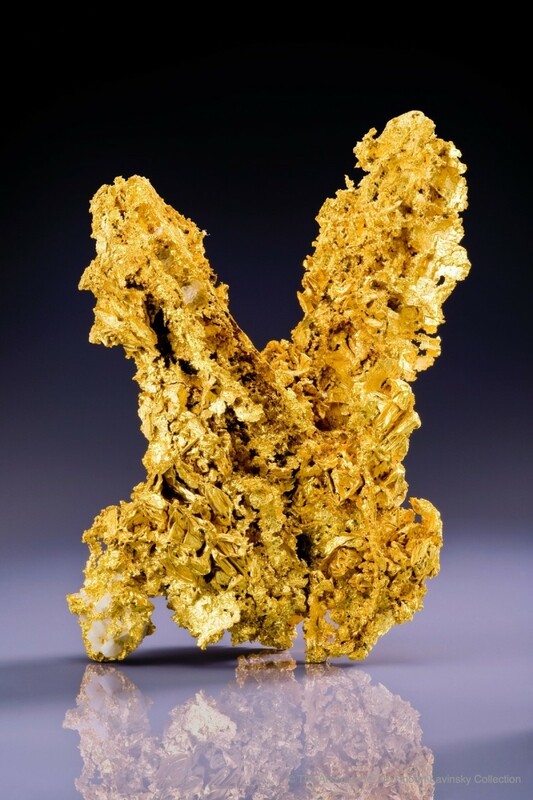 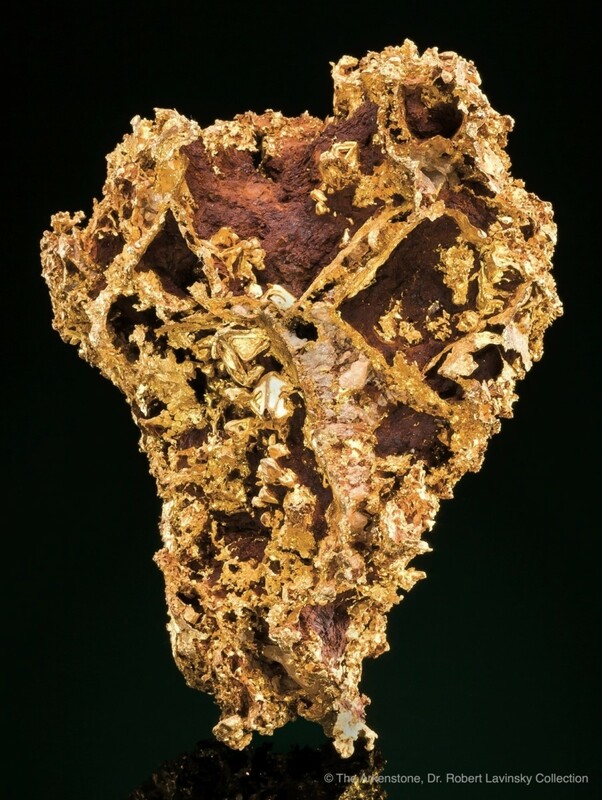 Many mining areas have developed a system for the removal and marketing of specimens through a series of intermediaries and wholesalers, and many miners have become quite skilled at extracting specimens undamaged. 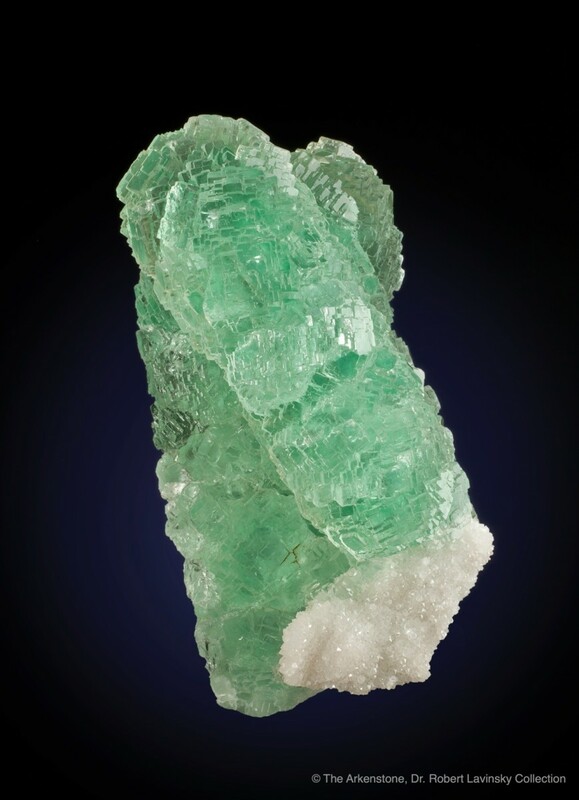 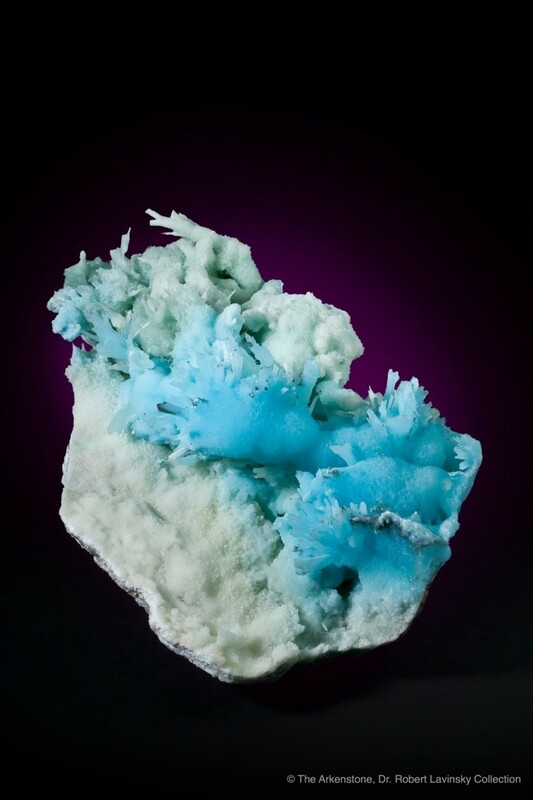 As a result, a number of fine collections of Chinese minerals have been built in Western countries. 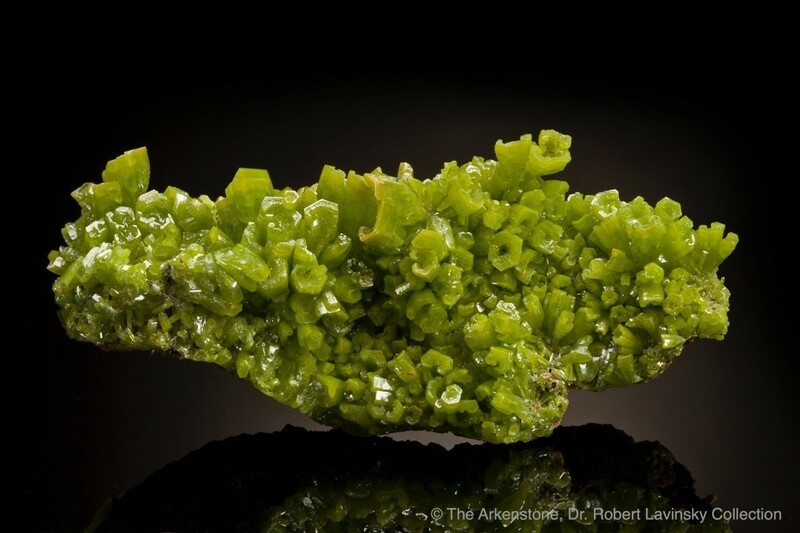 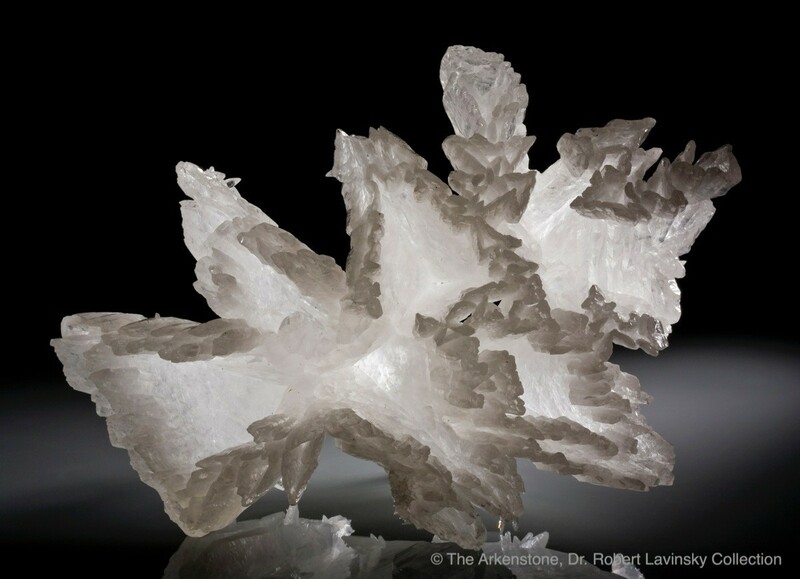 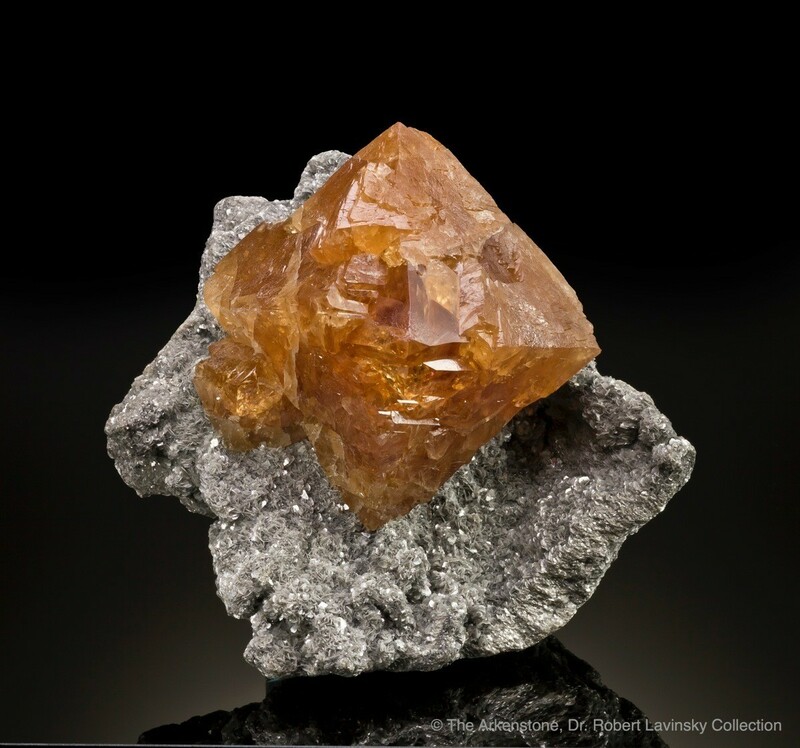 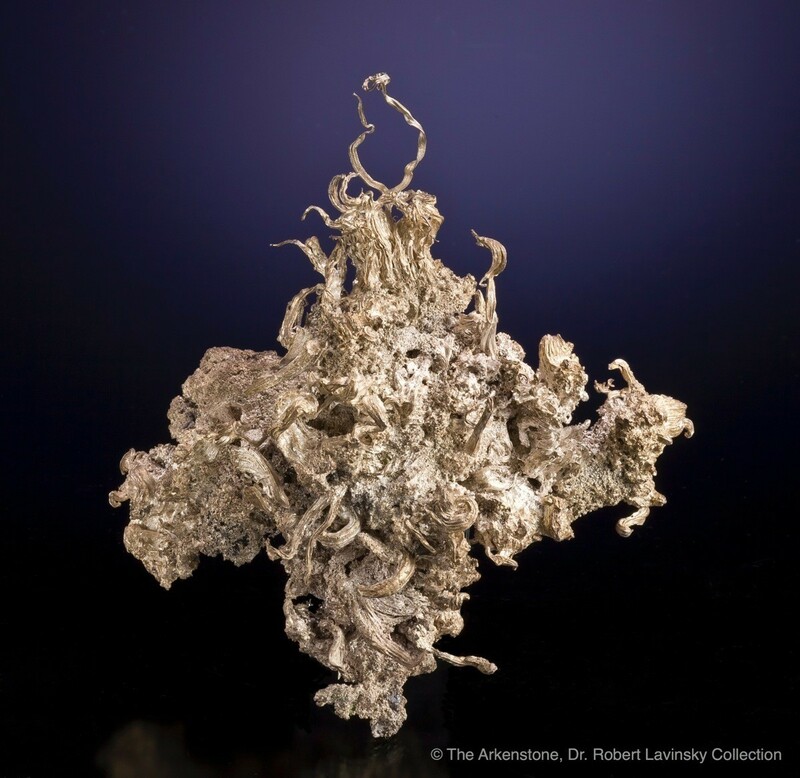 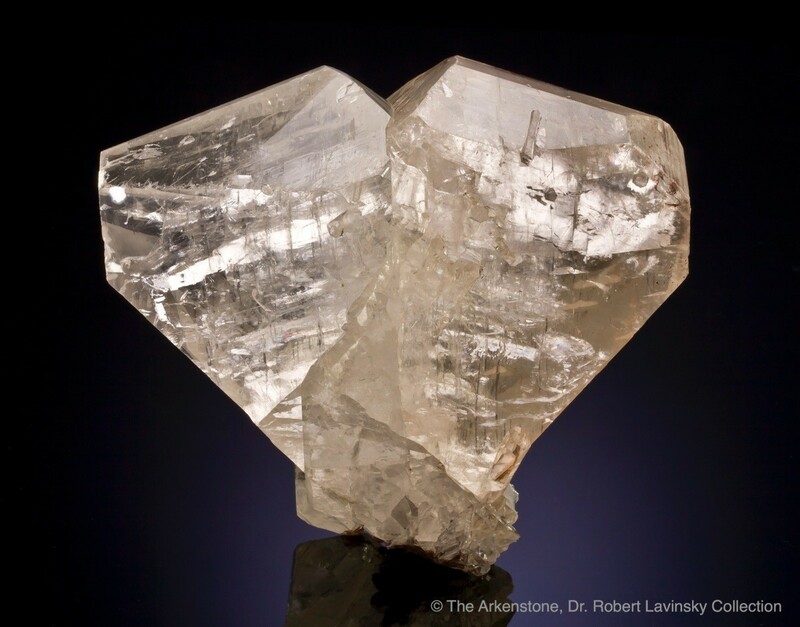 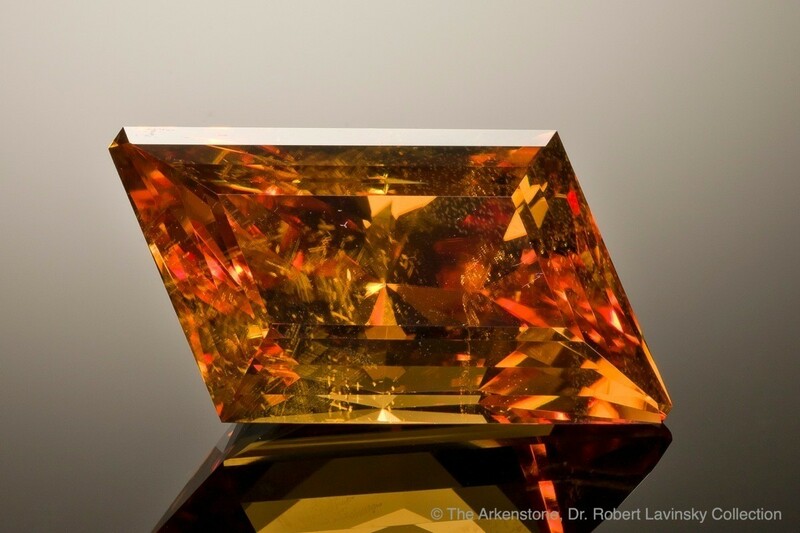 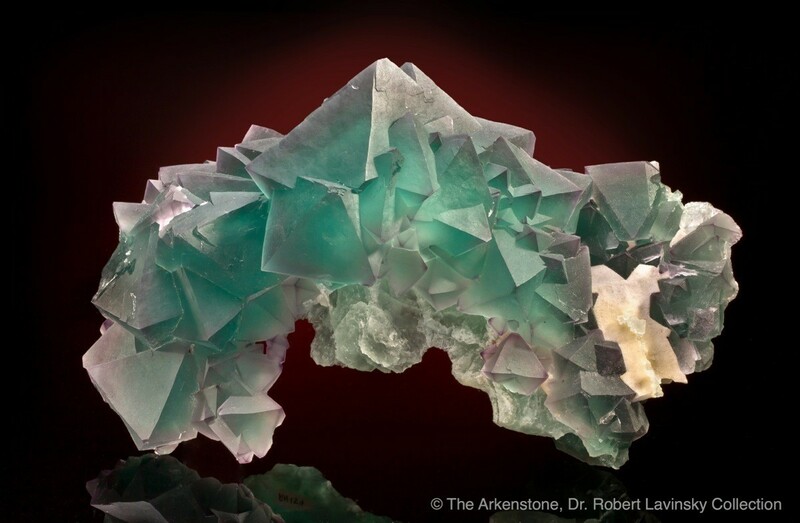 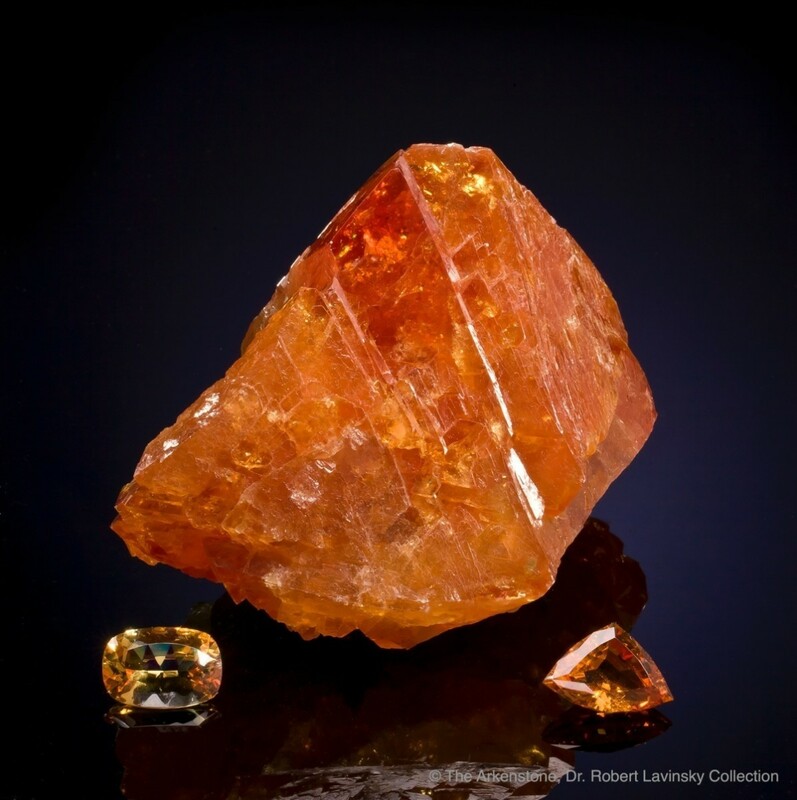 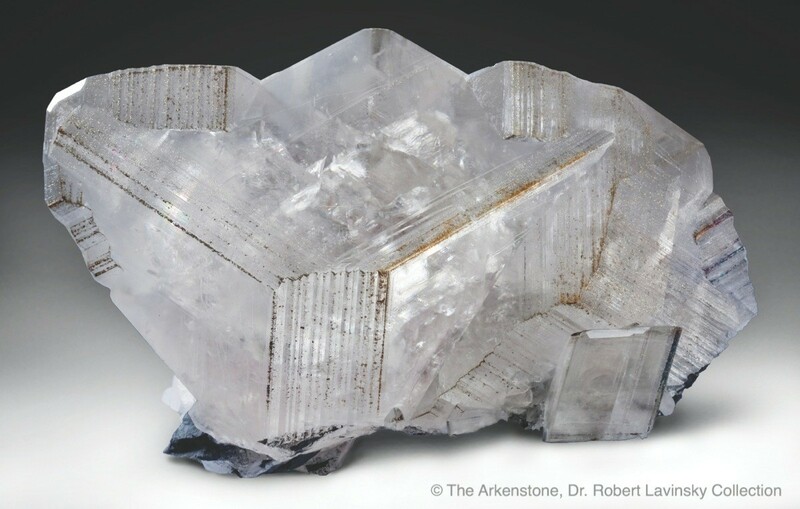 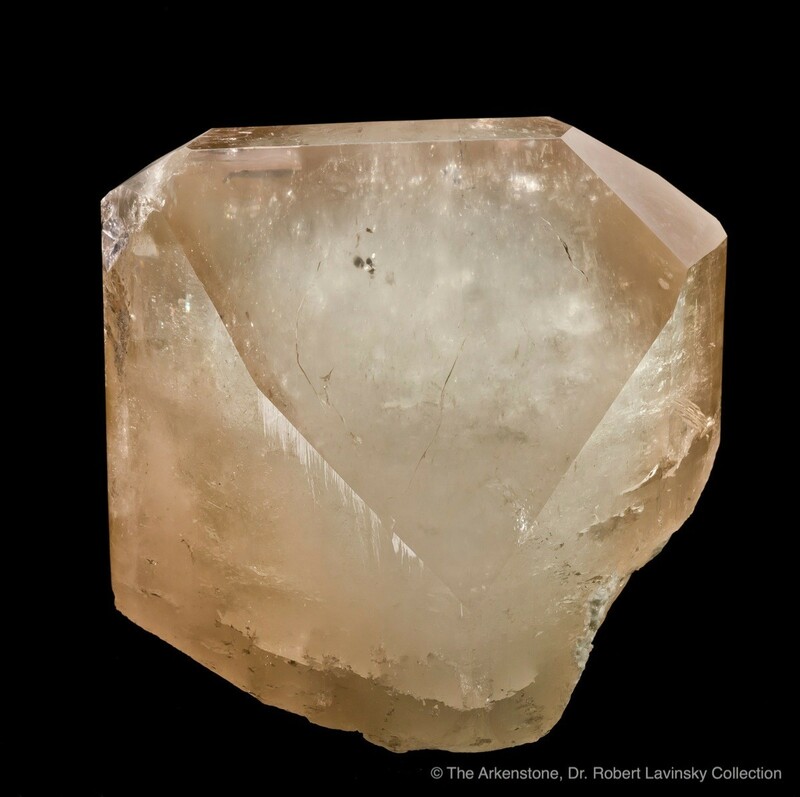 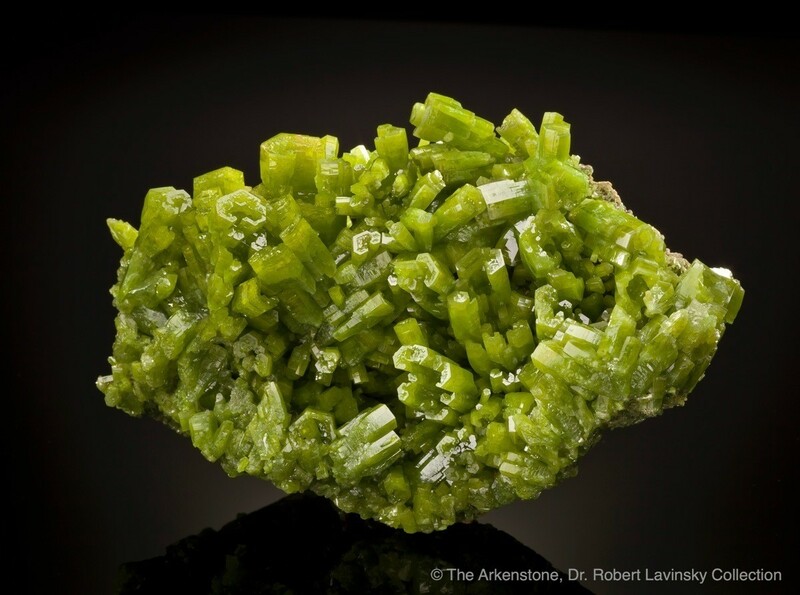 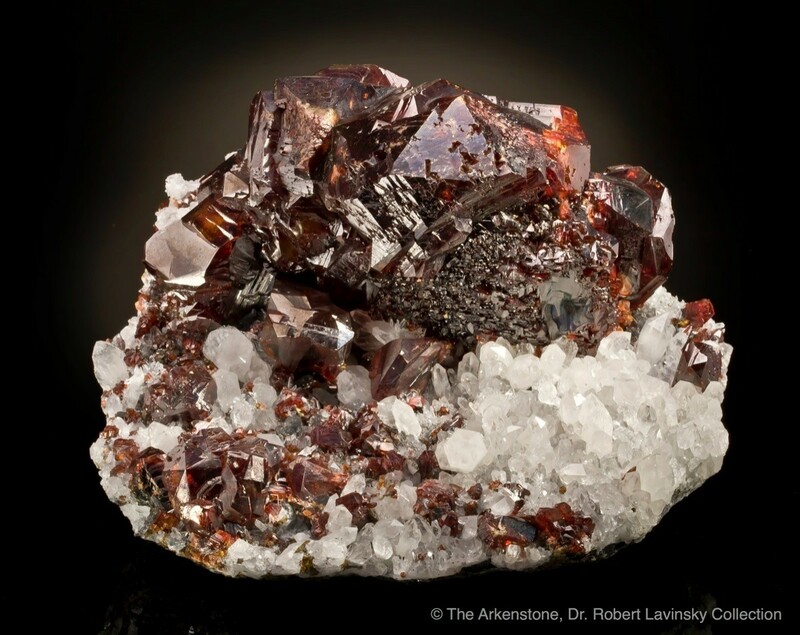 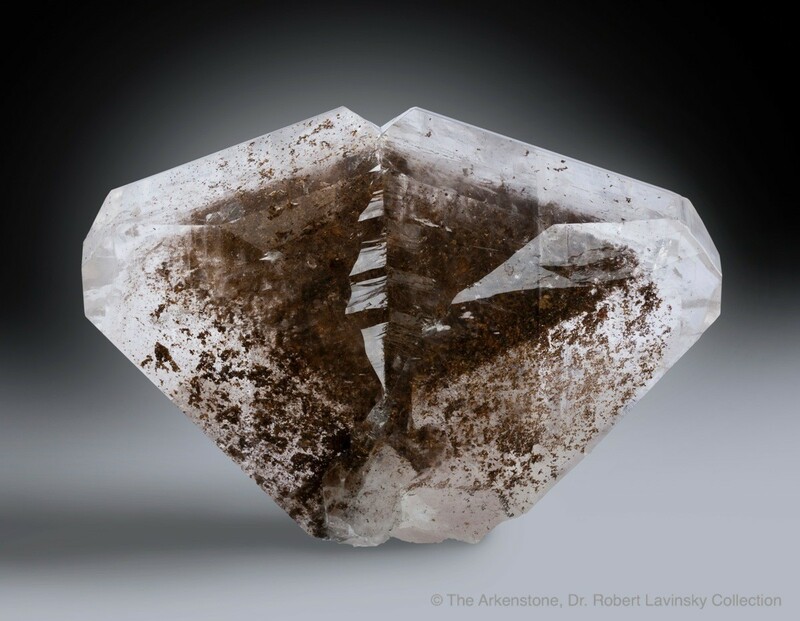 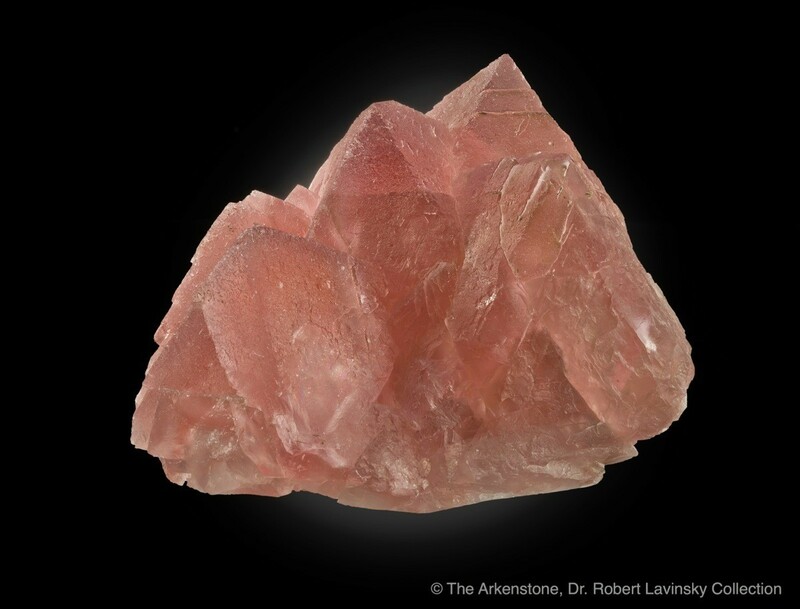 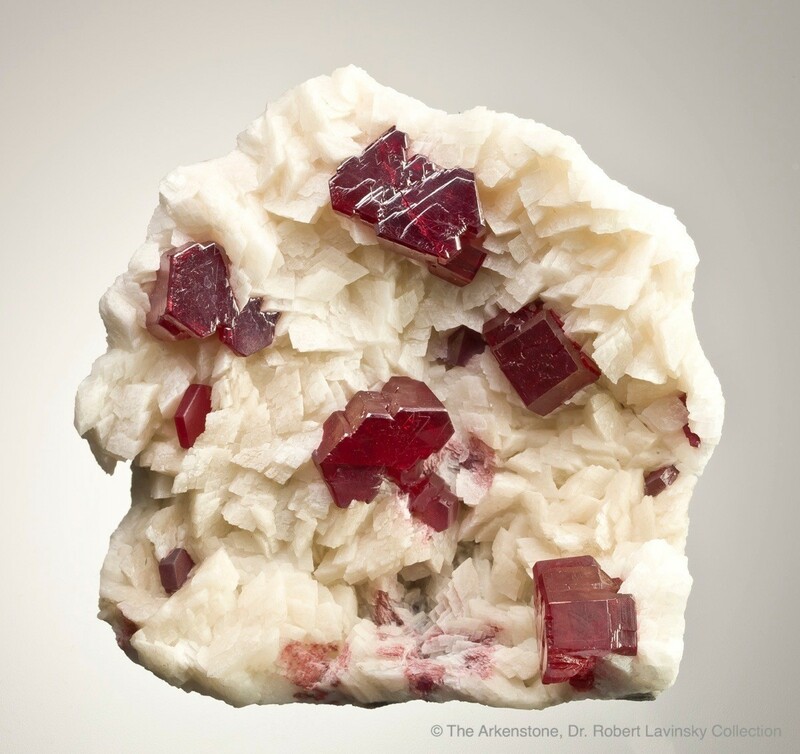 During this time of transition when Chinese minerals were coming out in a veritable flood, Robert Lavinsky recognized a tremendous opportunity, and for the last 15 years has positioned himself as a high-end buyer of cabinet-size specimens from China. 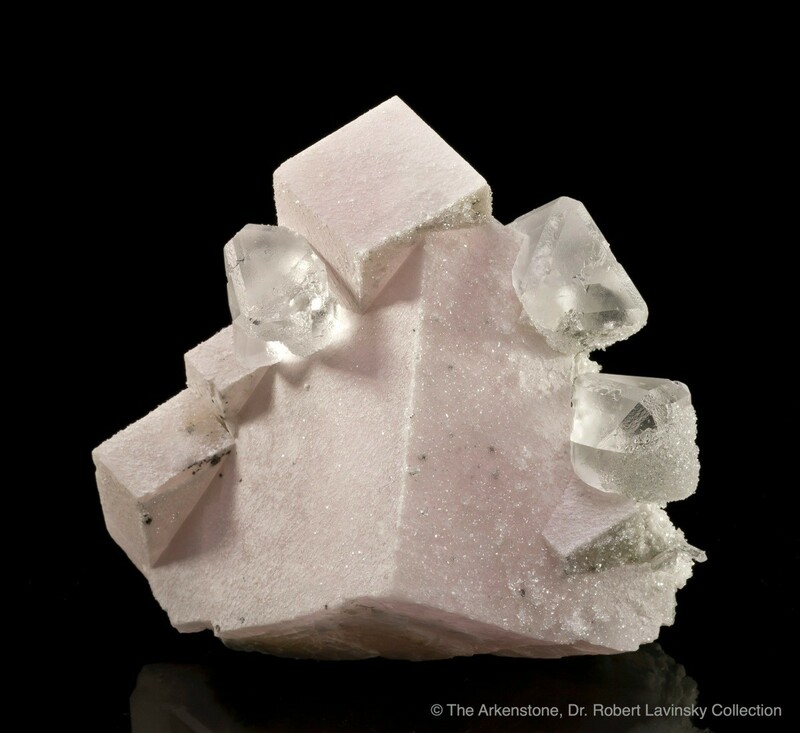 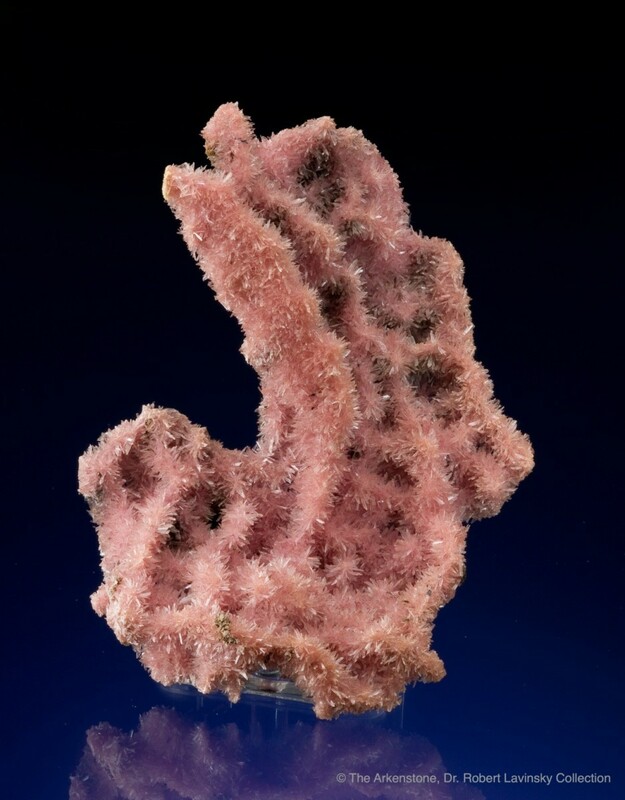 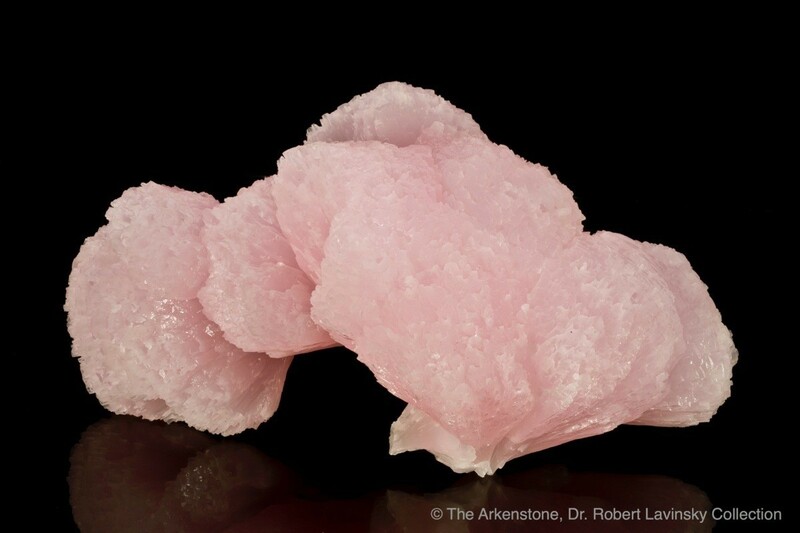 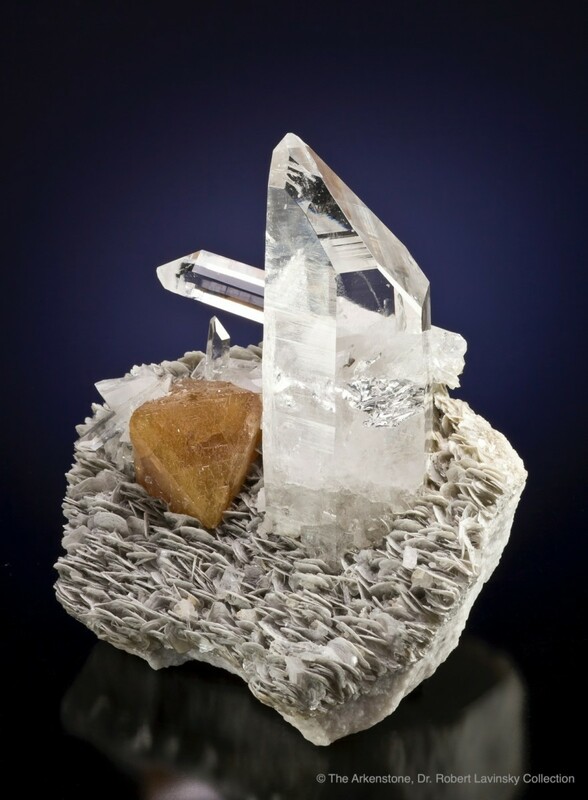 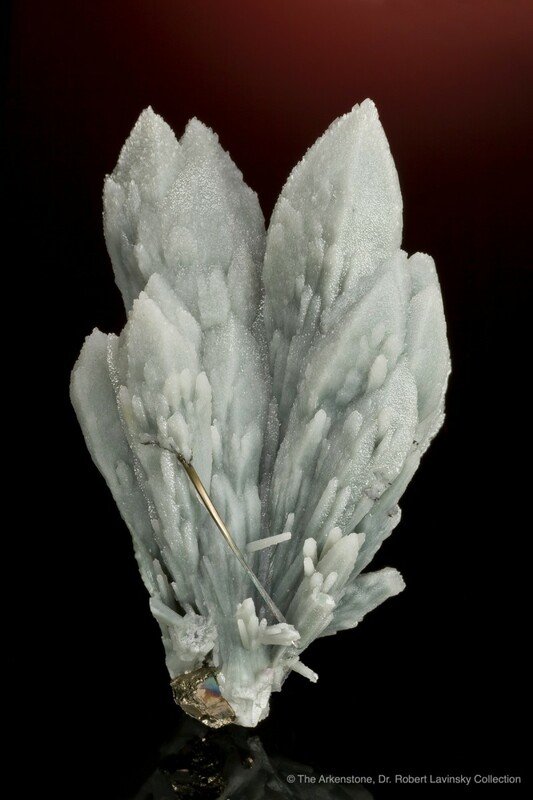 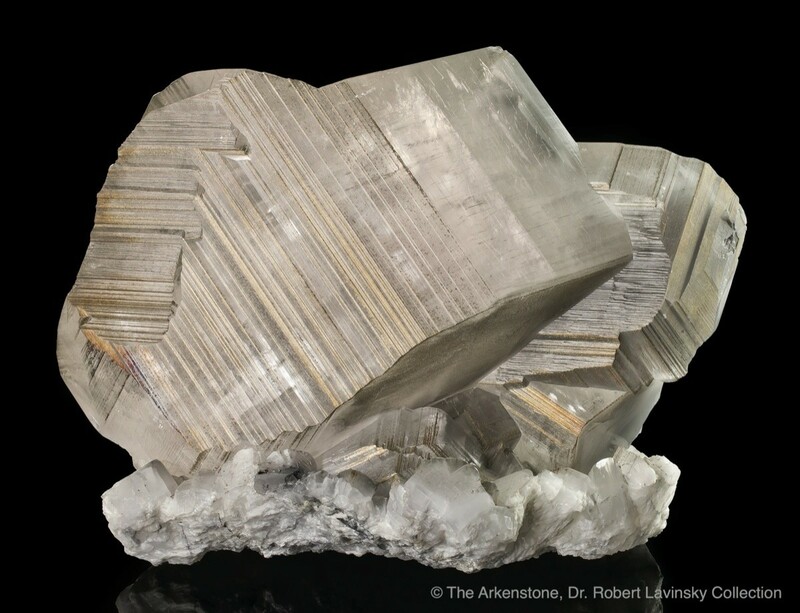 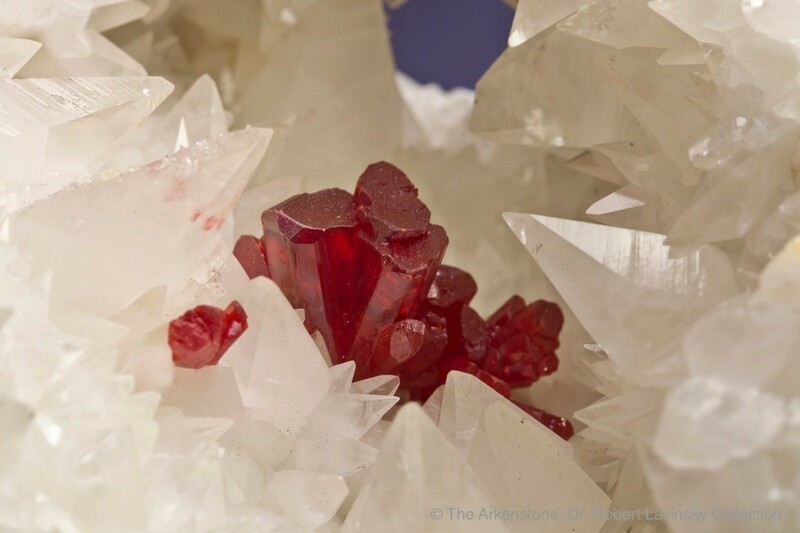 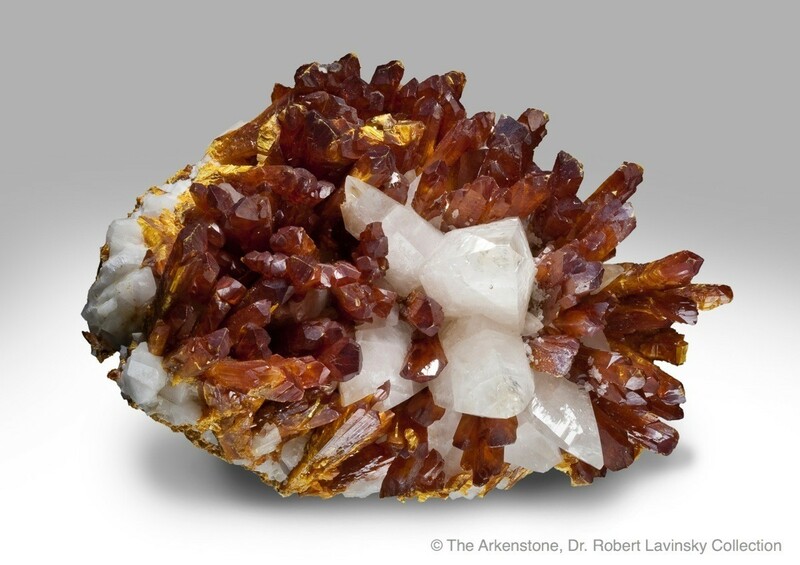 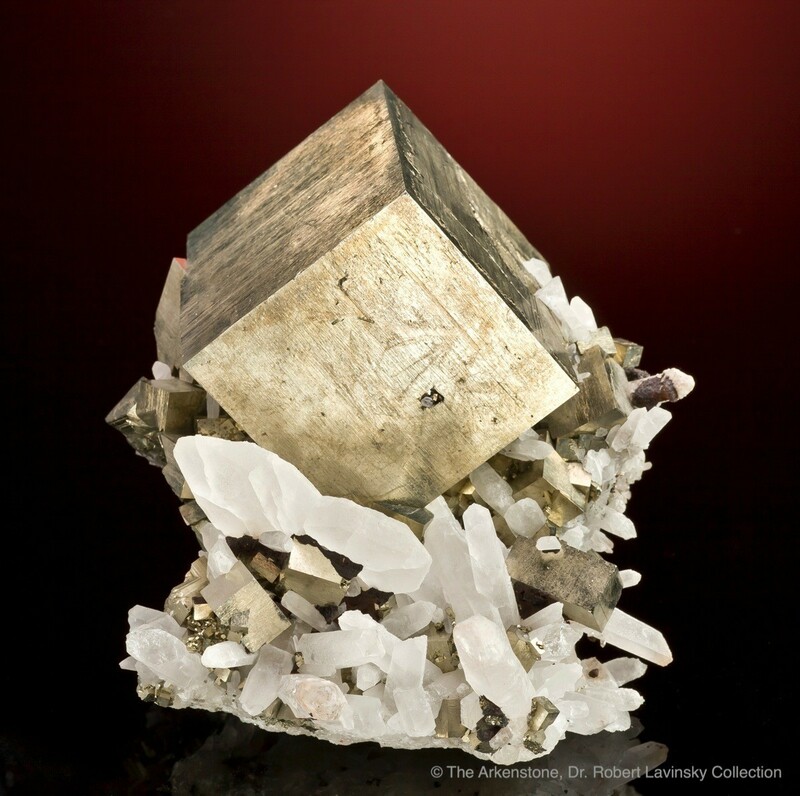 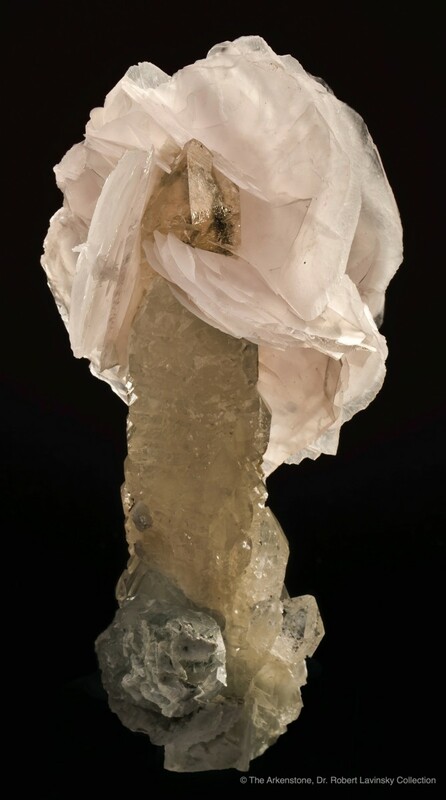 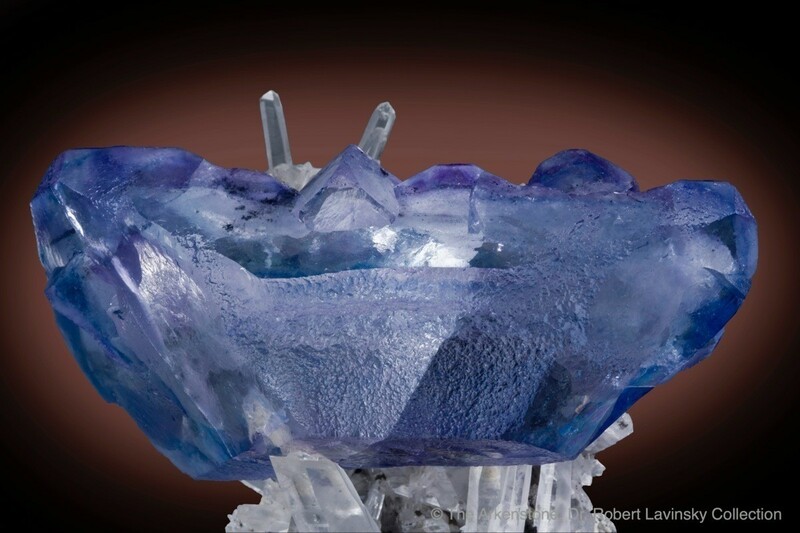 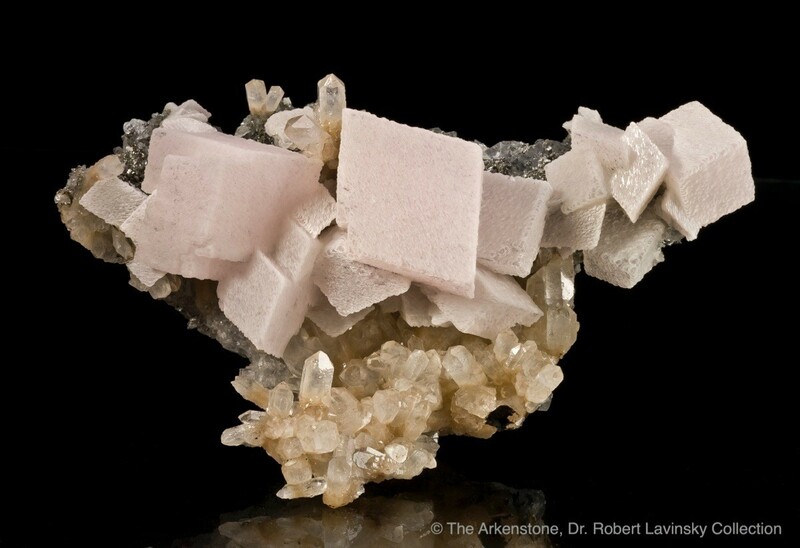 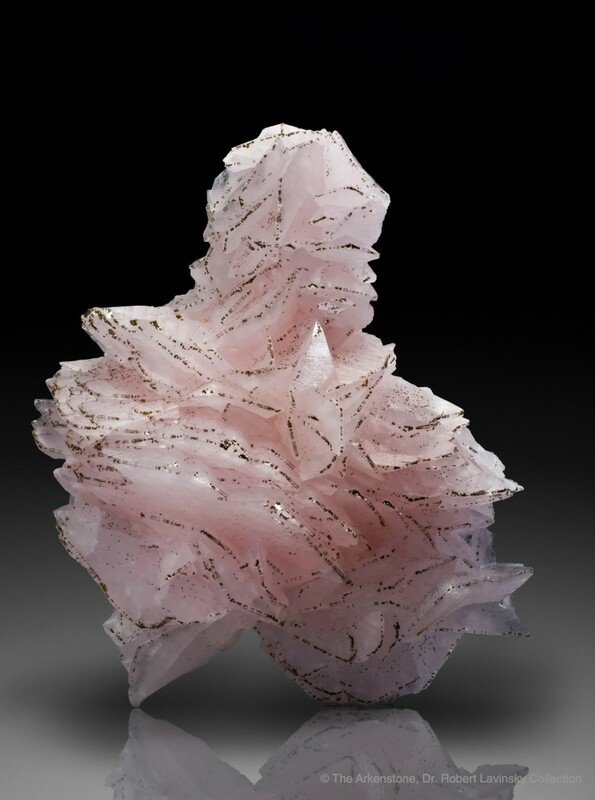 Amidst many other collectors who specialized in Chinese minerals of smaller sizes, he became widely known as a collector of larger Chinese specimens of ultra-high quality. 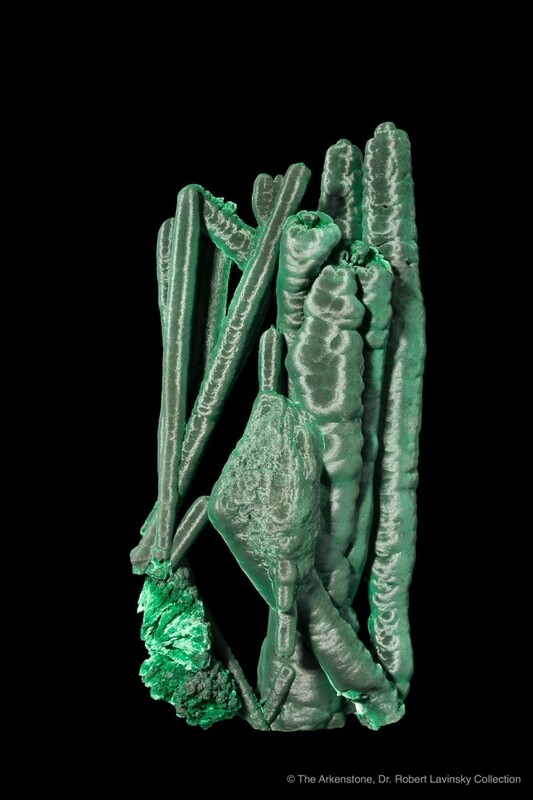 Thanks to this growing reputation, many fine, newly discovered specimens were brought to him from one source or another. 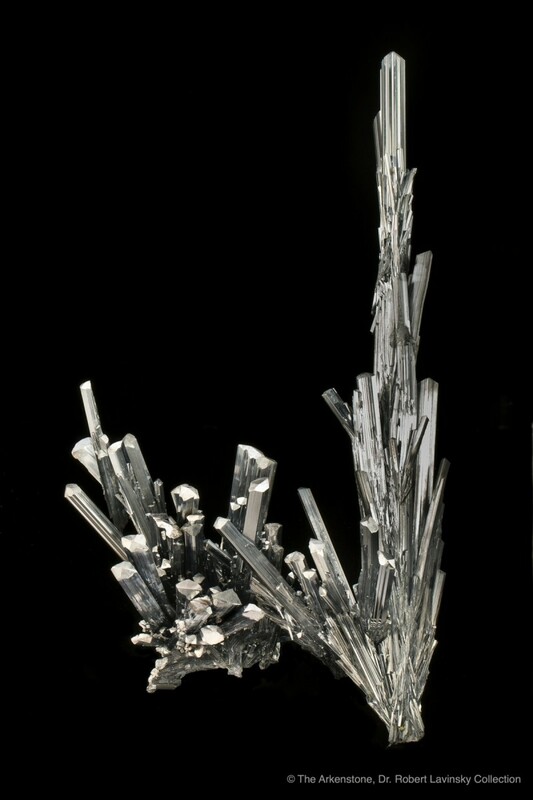 Even many American dealers who were obtaining fine Chinese minerals would often give him first refusal, in large part because they respected what he was trying to do in building a locality-specialized collection that would be a tribute to China—comparable in concept to what Miguel Romero did for Mexican minerals in their heyday (see the supplement to the 2008 November-December issue of The Mineralogical Record), and what Lindsay Greenbank did for northern English minerals (see the supplement to the 2010 January-February issue of The Mineralogical Record). 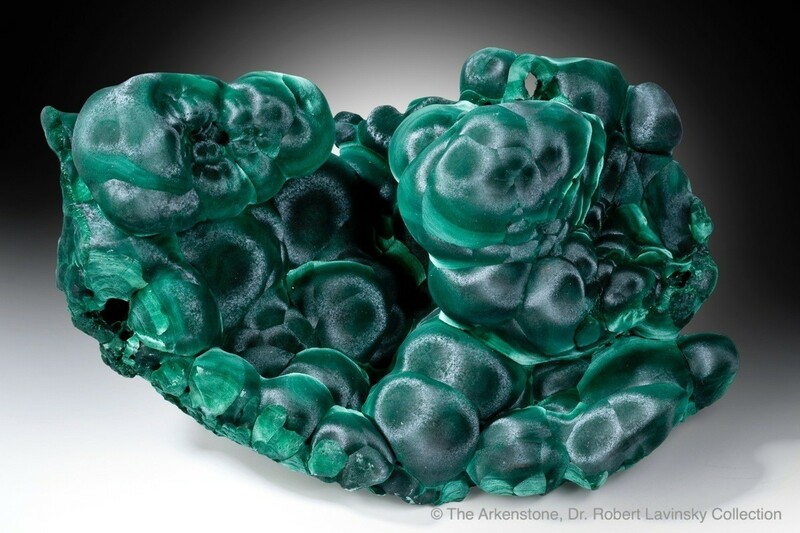 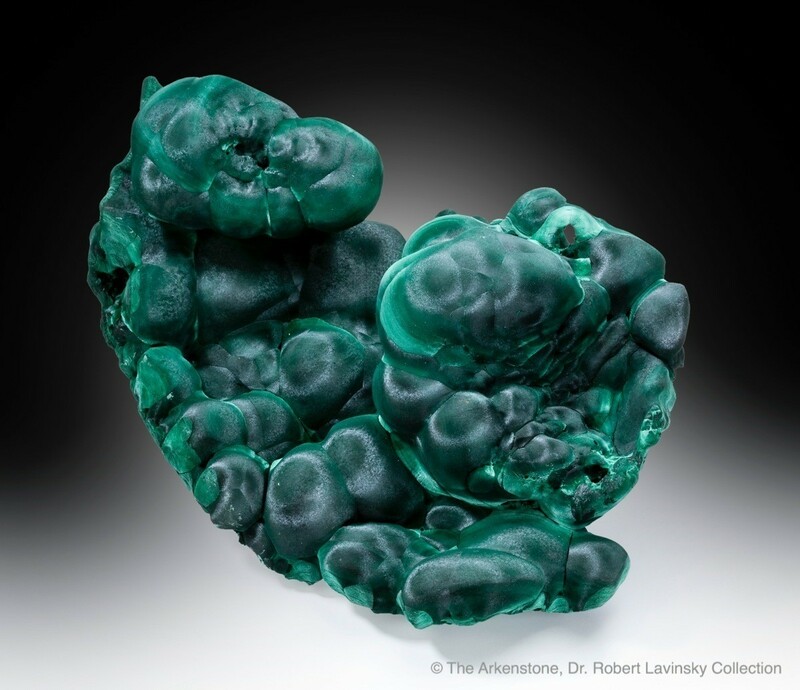 The Lavinsky China collection will be on exhibit at the University of Arizona’s Flandrau Science Center, premiering in February during the Tucson Gem and Mineral Show and running through the rest of the year. 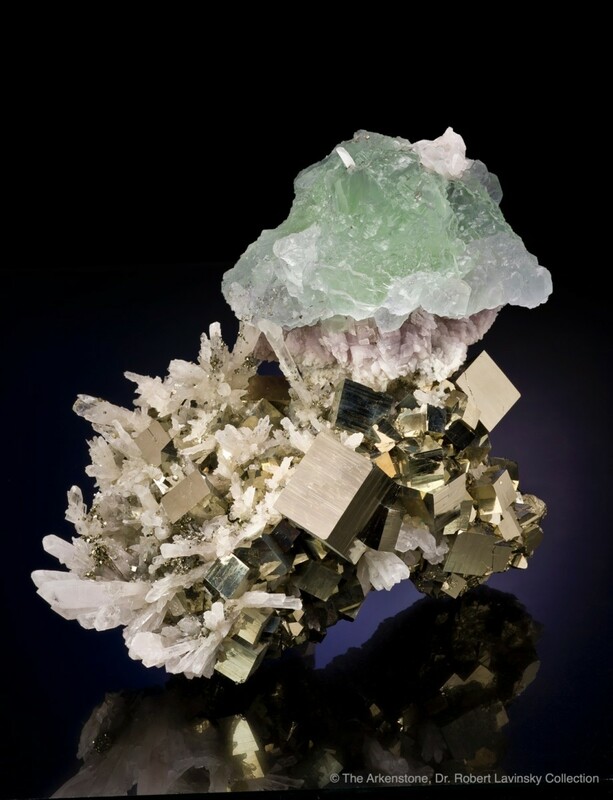 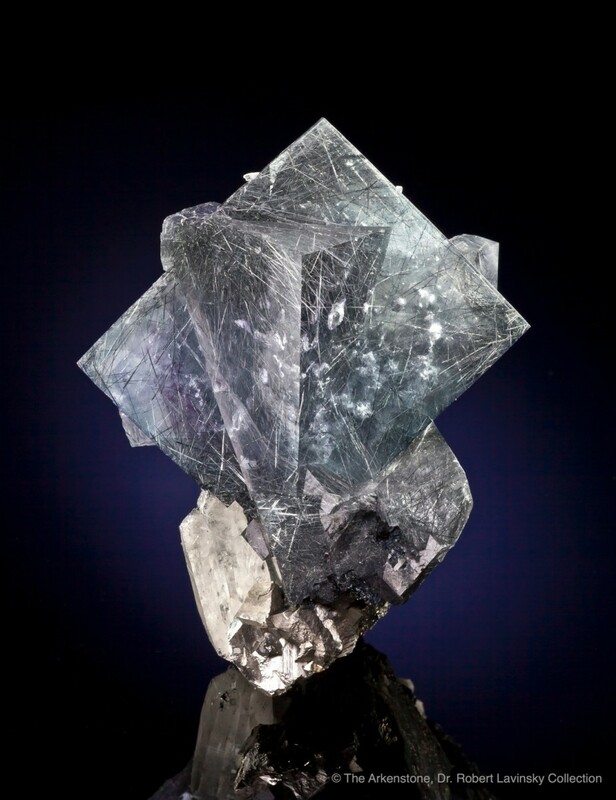 This special supplement to the Mineralogical Record illustrates many of the specimens shown in the Flandrau exhibition and can serve as a companion publication and exhibit catalog for the only major museum exhibition ever mounted to showcase Chinese minerals in the United States. 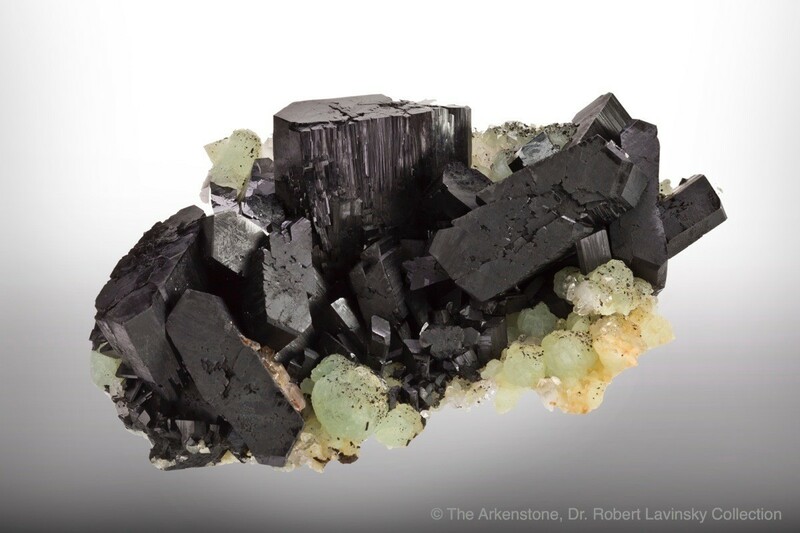 Pictured here are some of the ikonic pieces from the era of China’s first explosion onto the world mineral collecting scene, mainly from 1990 to 2010, as well as very recently found world-class specimens from Inner Mongolia. 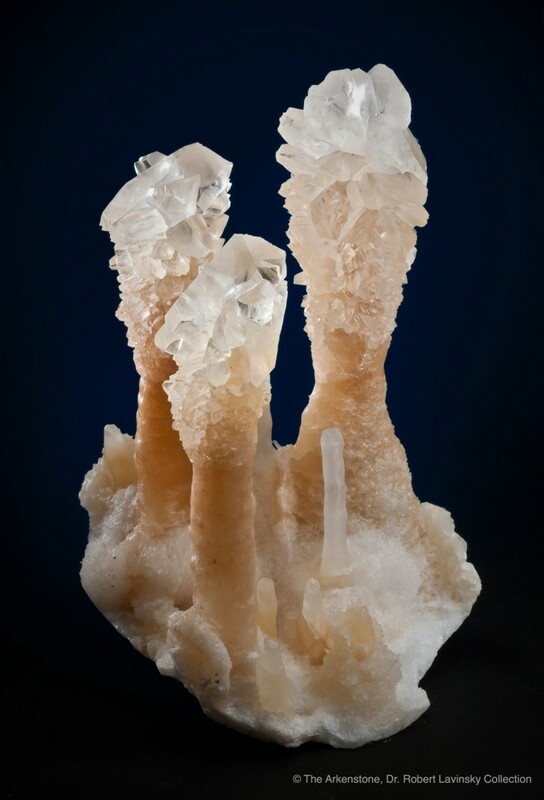 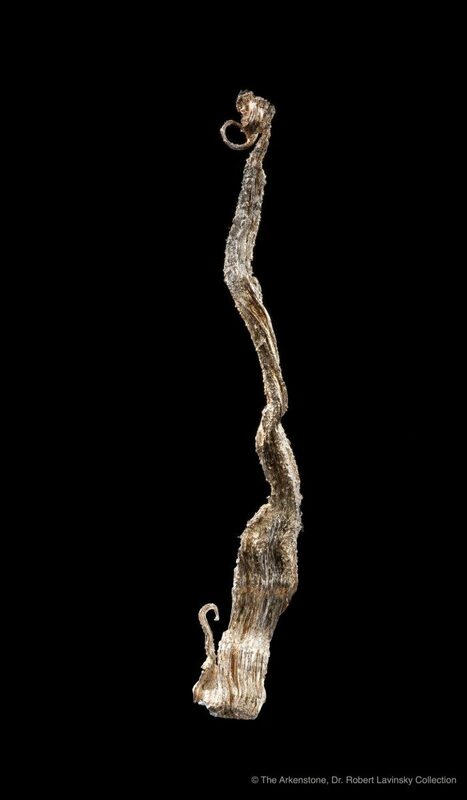 The Chinese specimens pictured here, spectacular treasures in the longstanding Western style of natural history collecting, are examples of a precious patrimony that every Chinese citizen can be proud of, and will serve to inspire a new generation of collectors in China and worldwide. 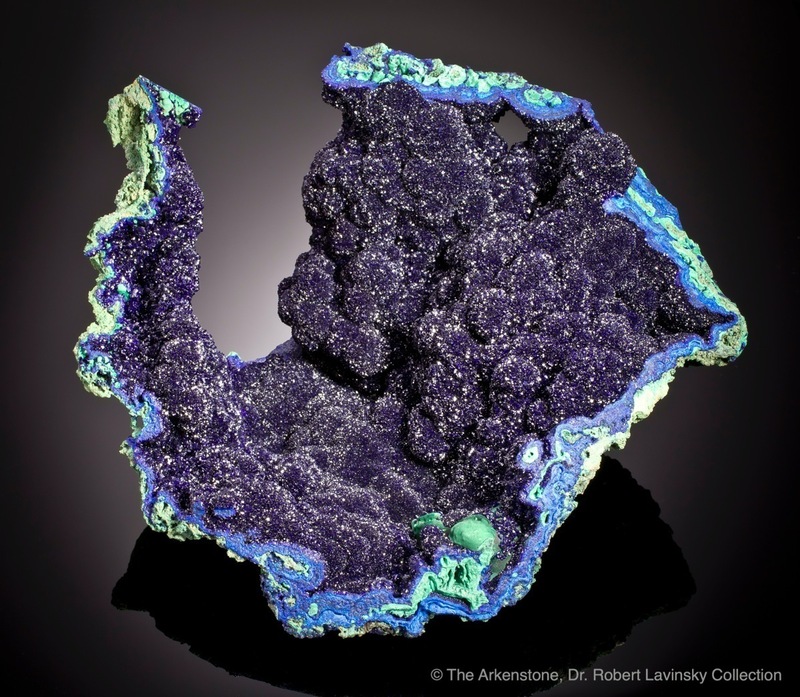 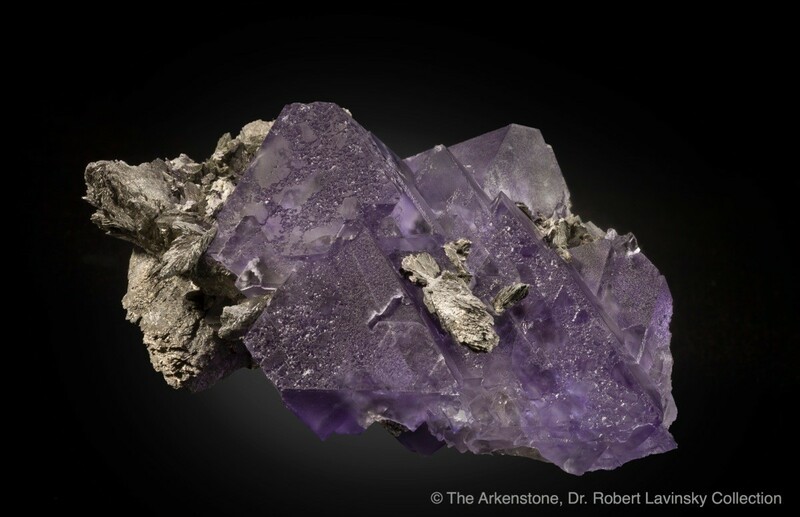 Dr. Wendell E. Wilson, a life-long mineral collector, is Publisher and Editor-in-Chief of the Mineralogical Record magazine. 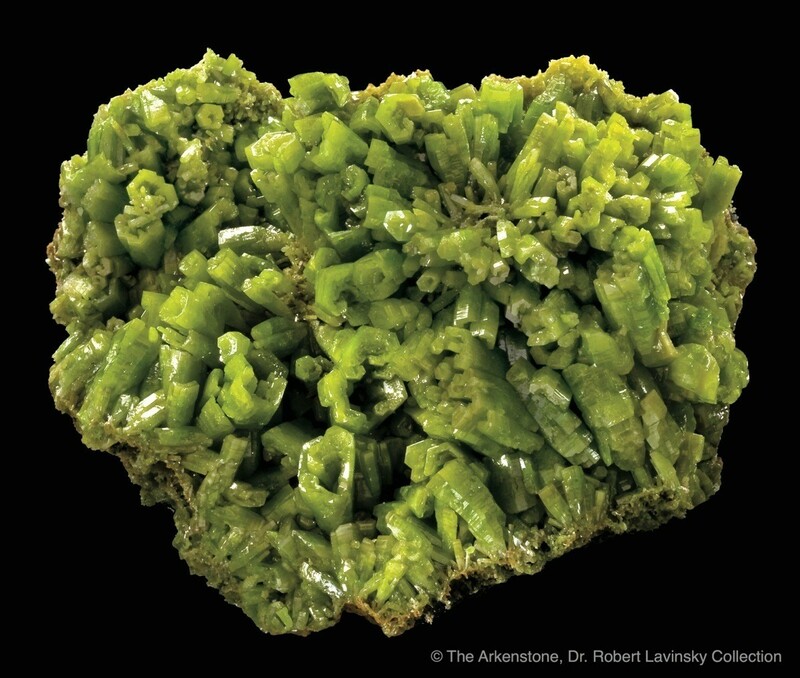 He received his PhD in Mineralogy and Isotope Geochronology at the University of Minnesota, in 1976. 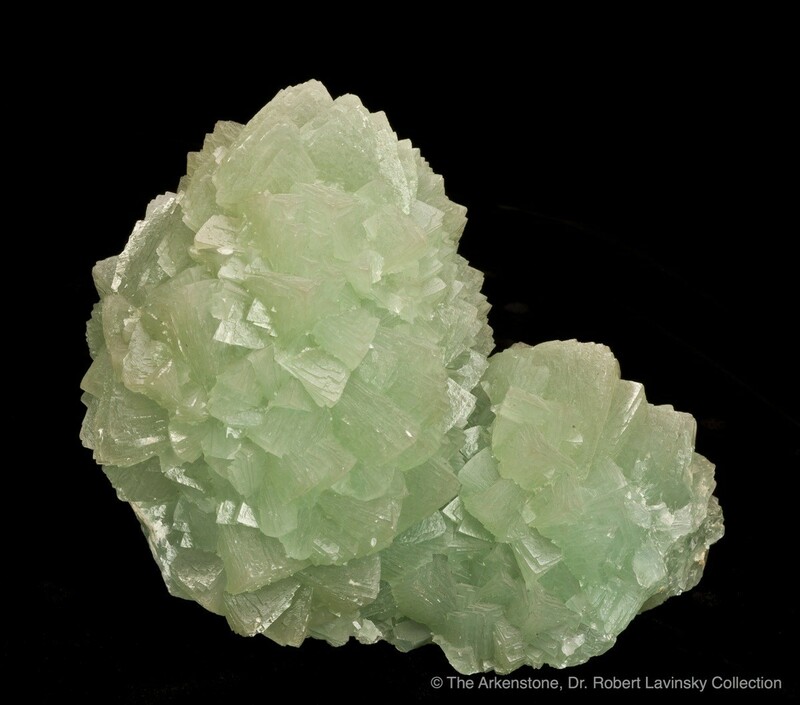 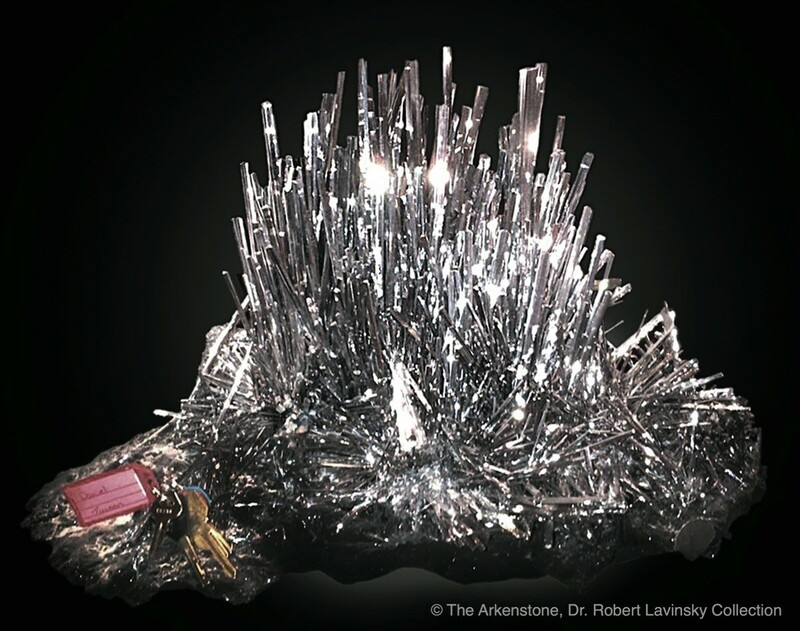 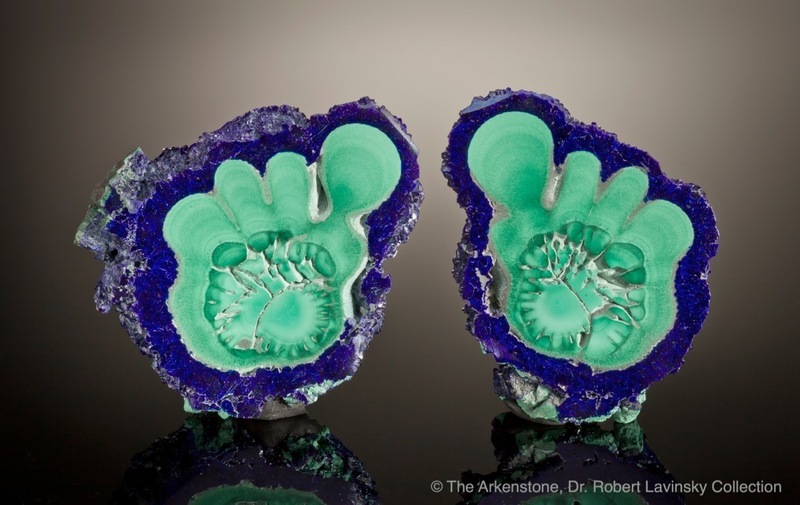 After joining the Mineralogical Record he founded the Mineralogical Record Library, established the Antiquarian Reprint Series to preserve early literature, and was presented with the Carnegie Mineralogical Award in 2001. 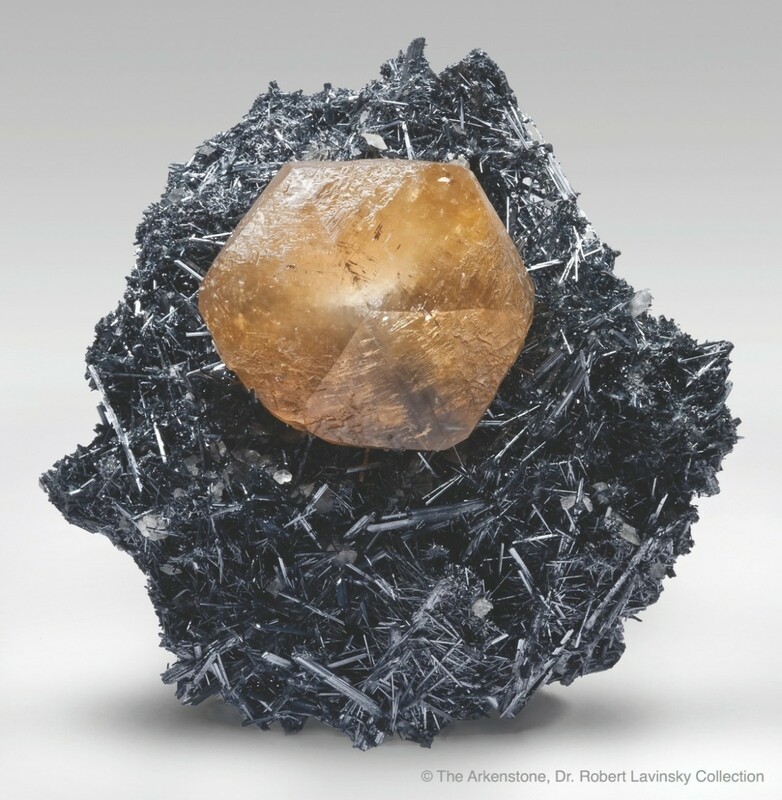 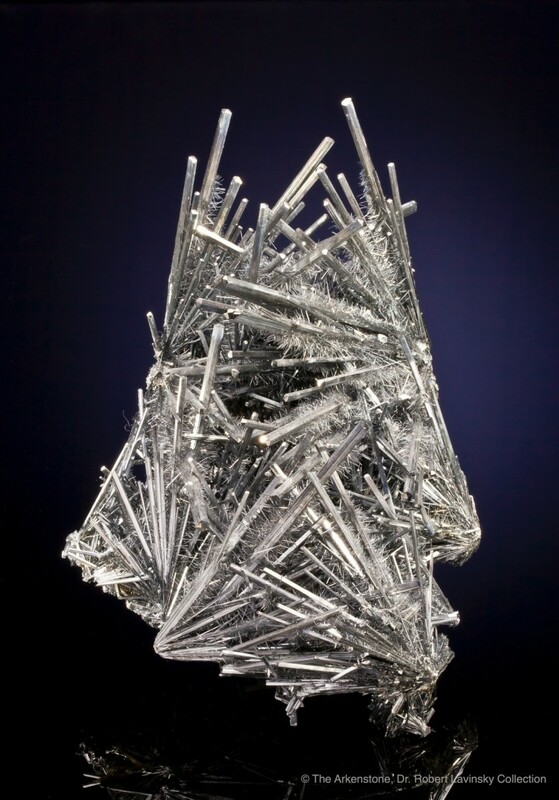 The mineral wendwilsonite was named in his honor in 1987. 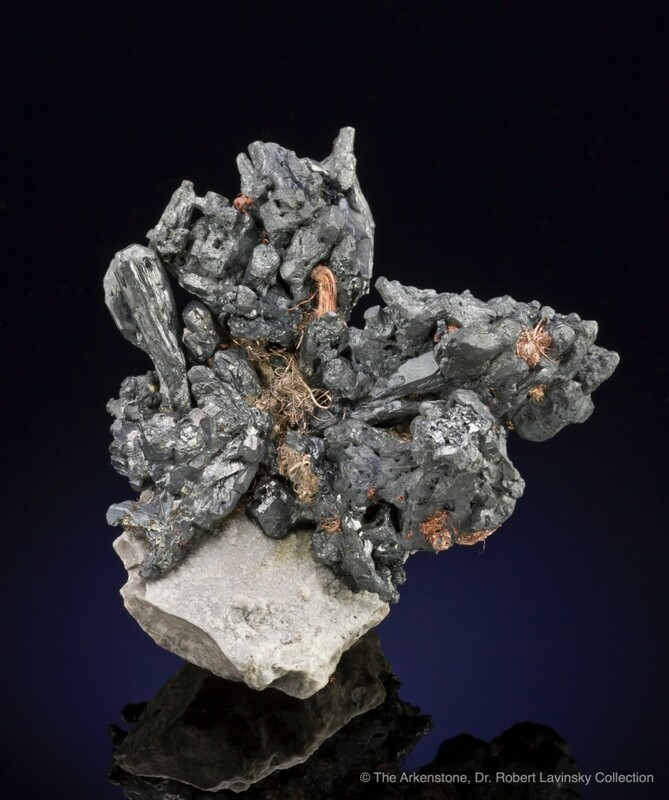 Jiangxi Province is rich in copper, lead, tin and zinc deposits exploited by about 1,500 mines of different sizes The Dexing copper mine and the Xihuashan tungsten mine at Dayu are the largest mines of their kind in Asia. 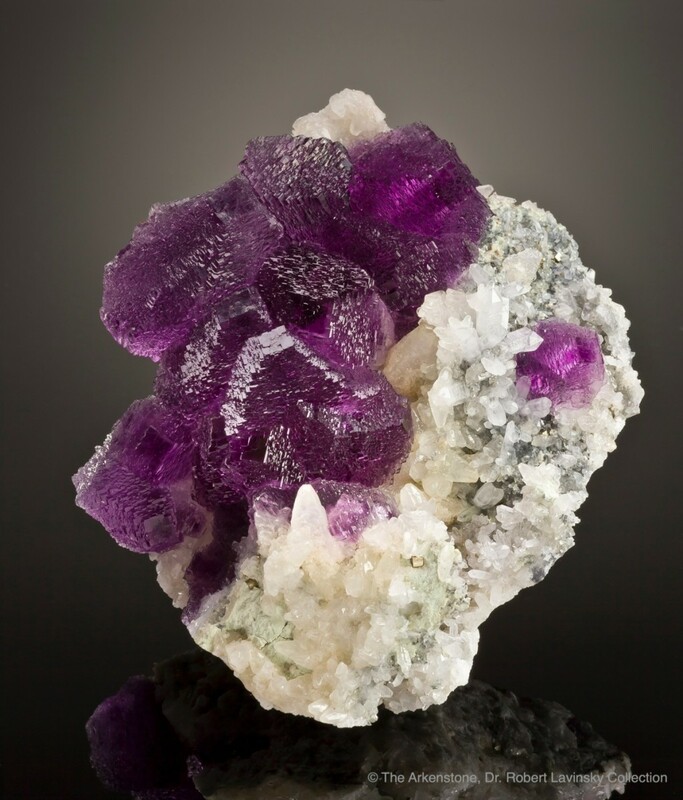 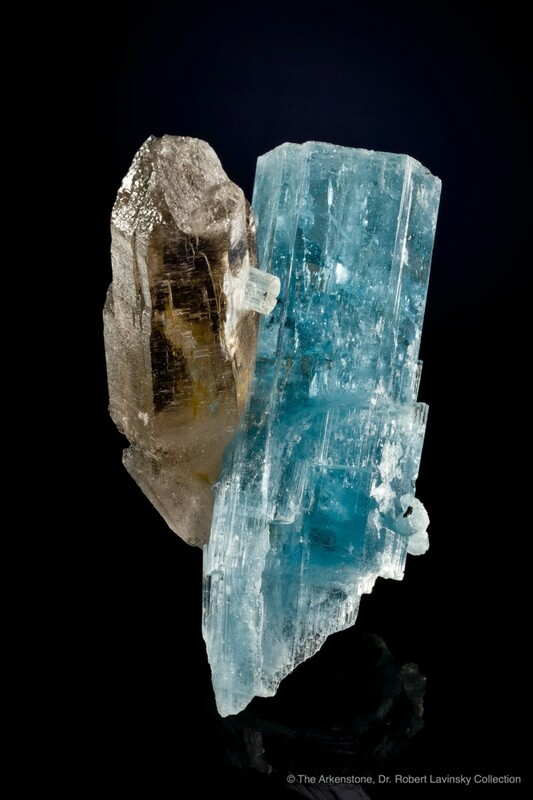 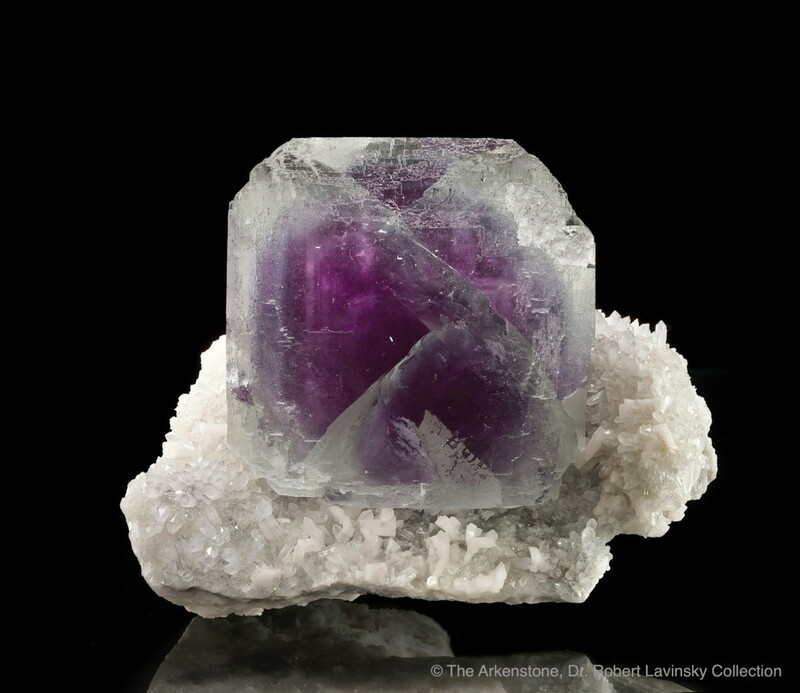 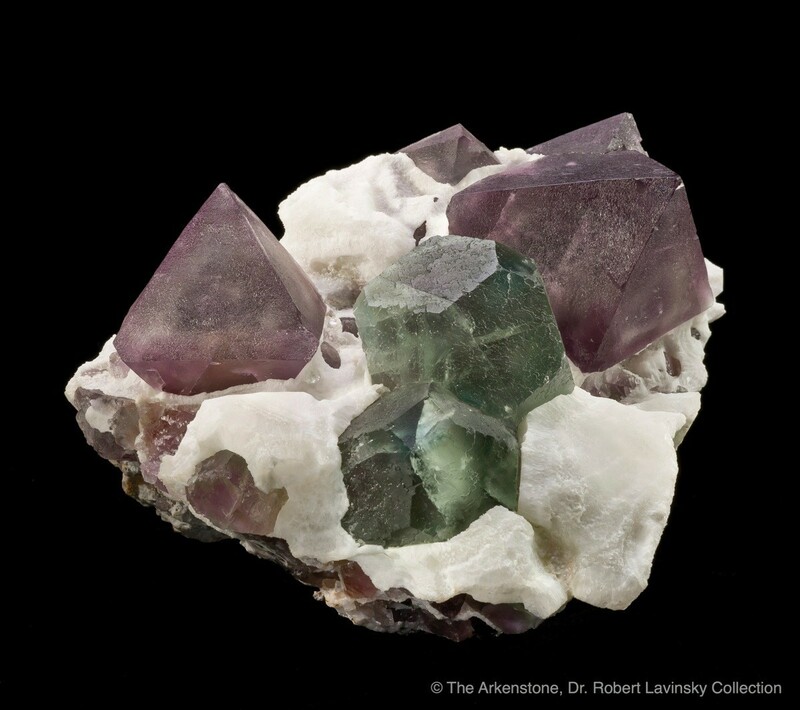 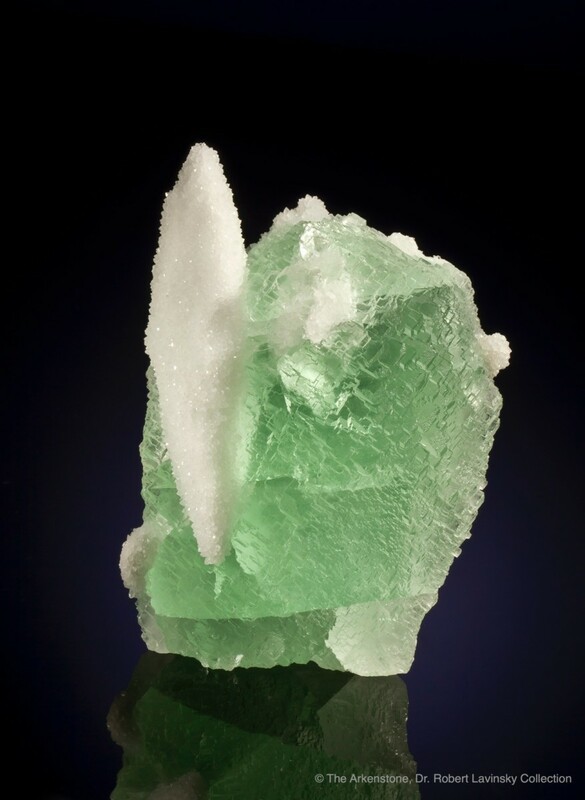 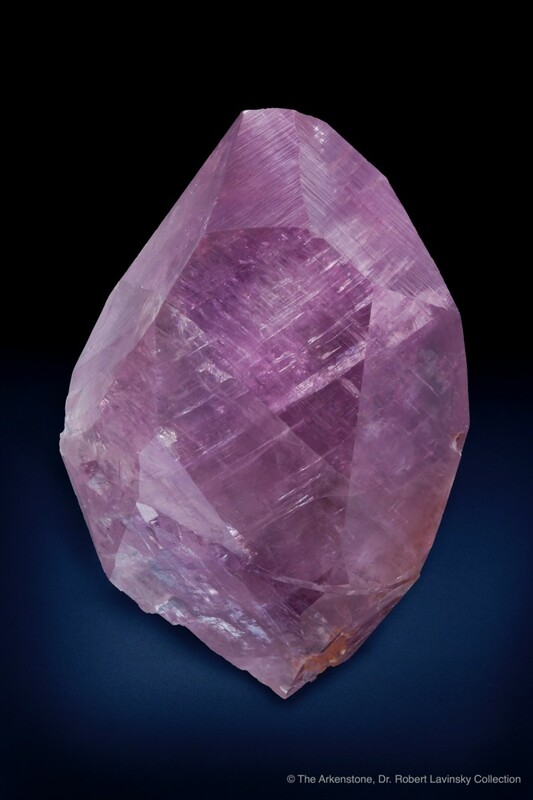 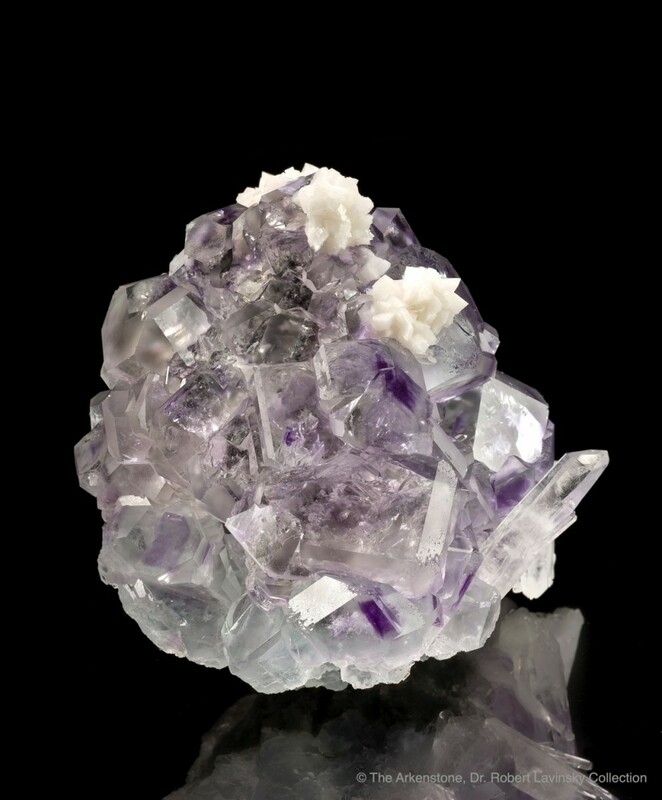 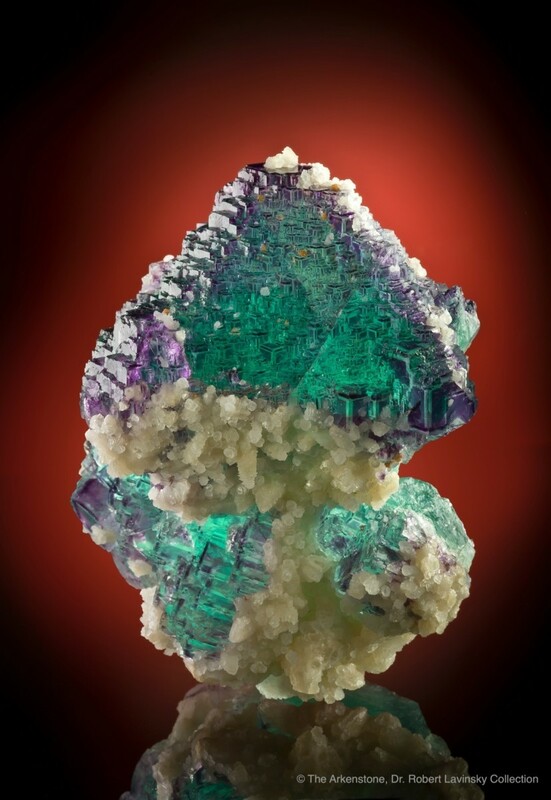 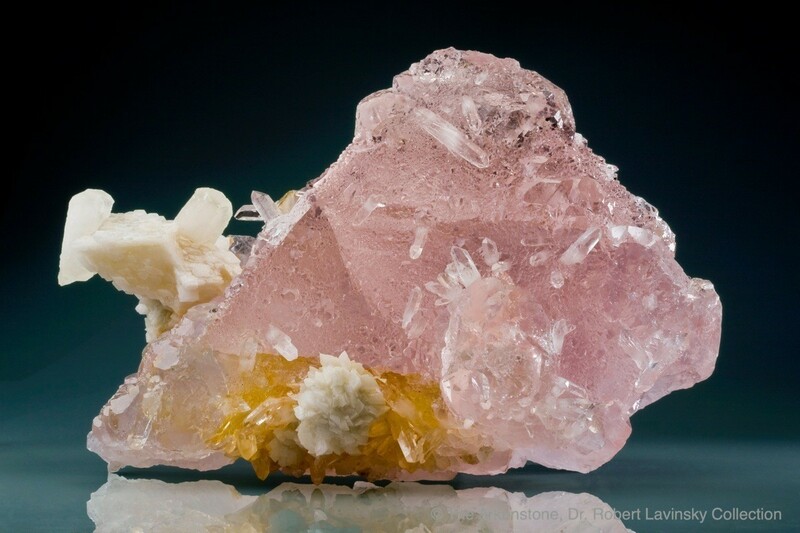 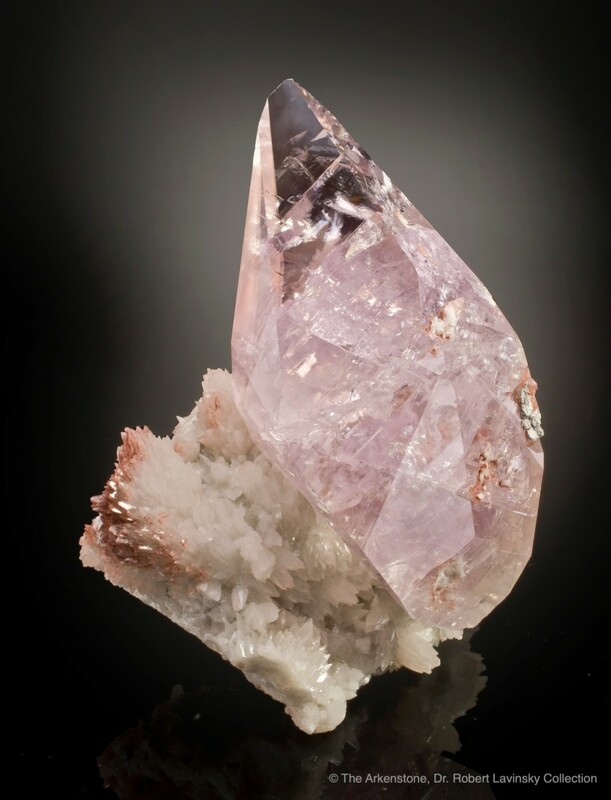 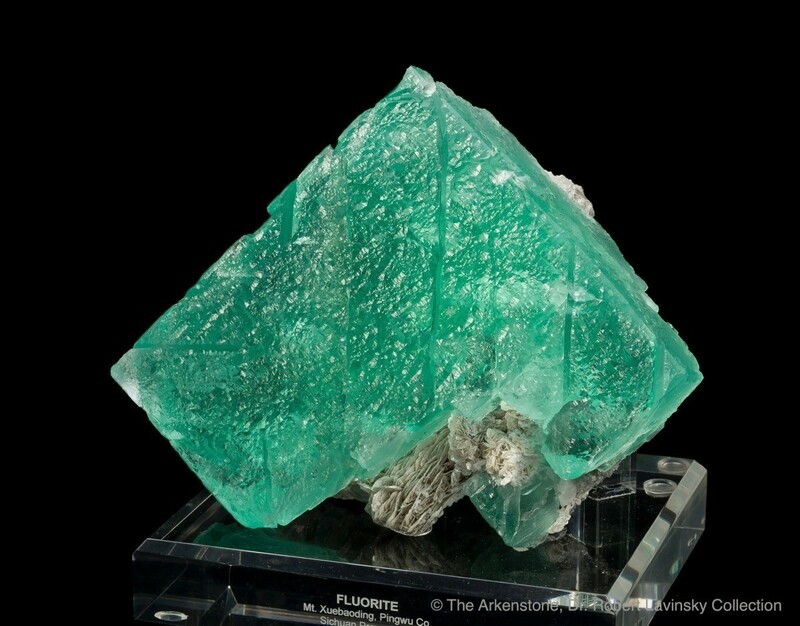 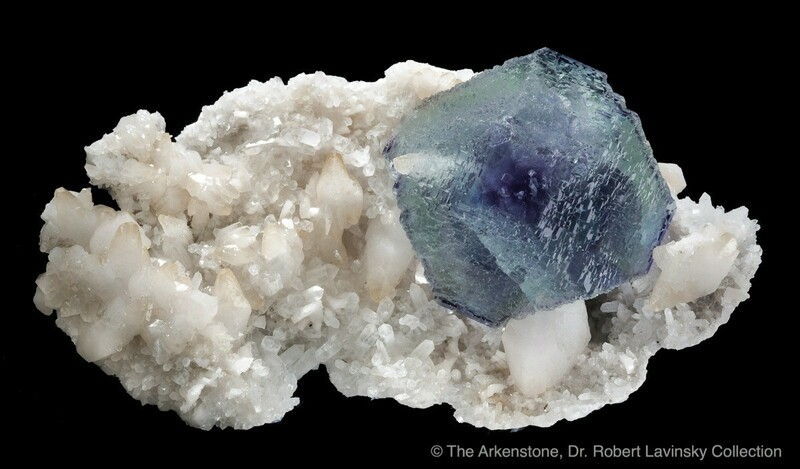 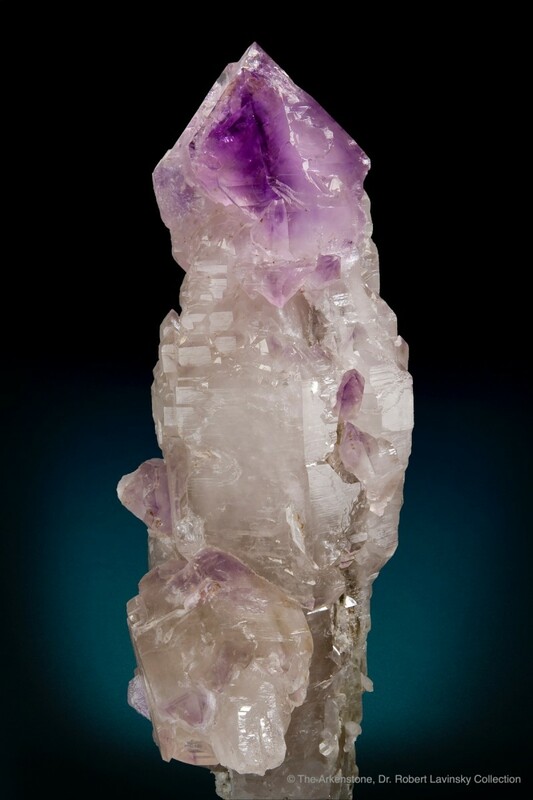 During the last five years, fantastic minerals including colorful fluorites, superb stibnites, and wonderful copper minerals have repeatedly been found in the mines of Jiangxi. 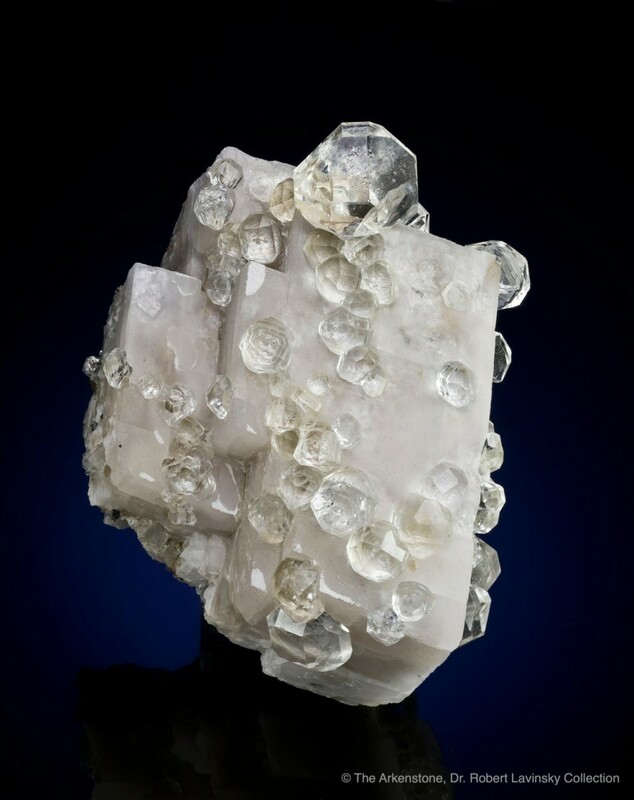 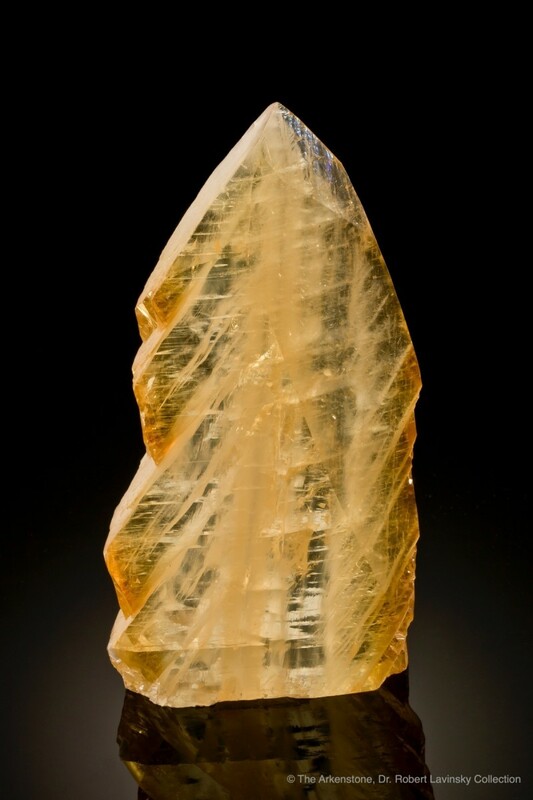 The specimens from the De’an, Wuning, Jiujiang and Dayu mining areas are well known among collectors world-wide. 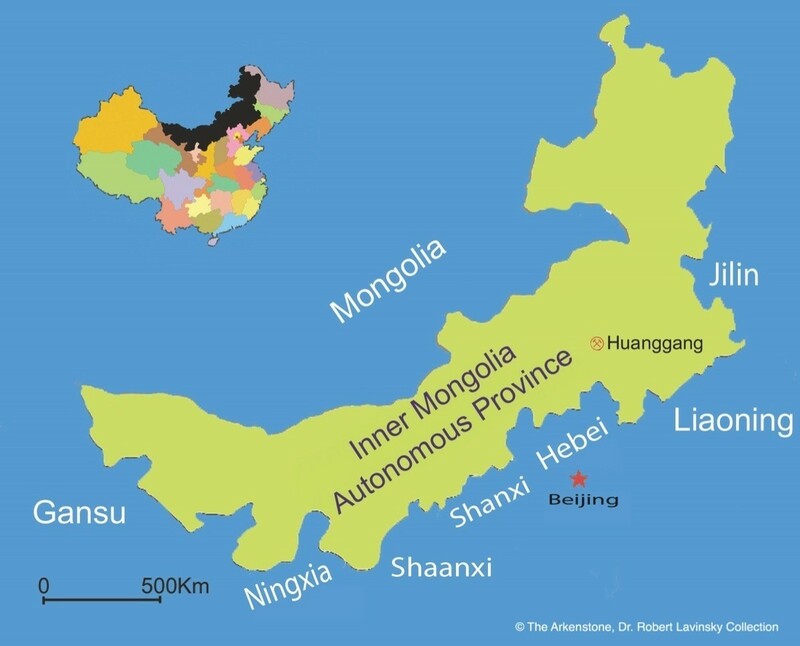 Shanxi has about a third of China‘s total coal reserves, with an annual production exceeding 300 million metric tons. 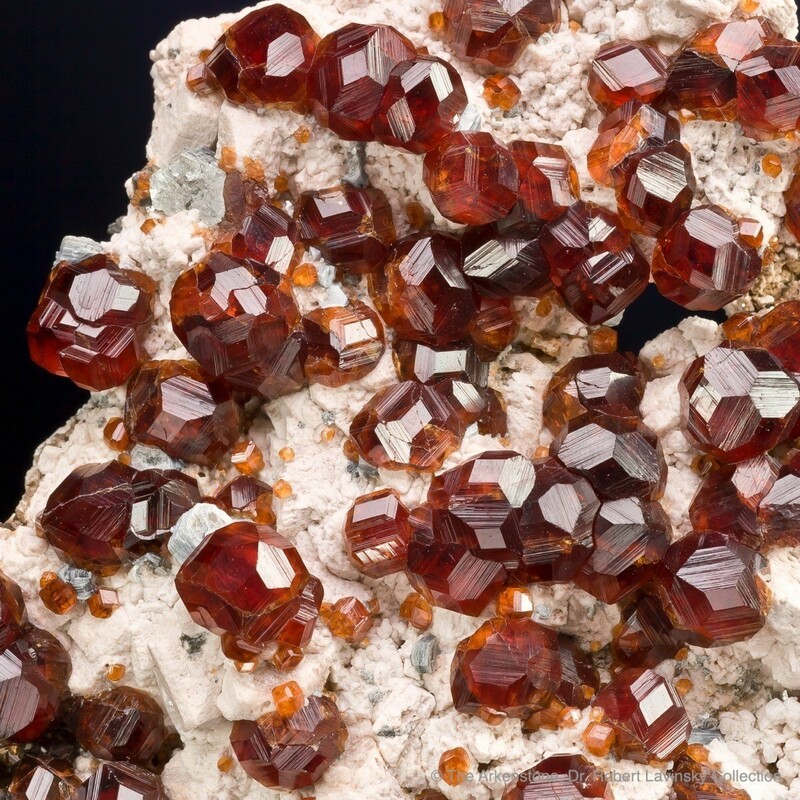 Shanxi also has about 500 million tonnes of bauxite deposits, roughly a third of total Chinese reserves. 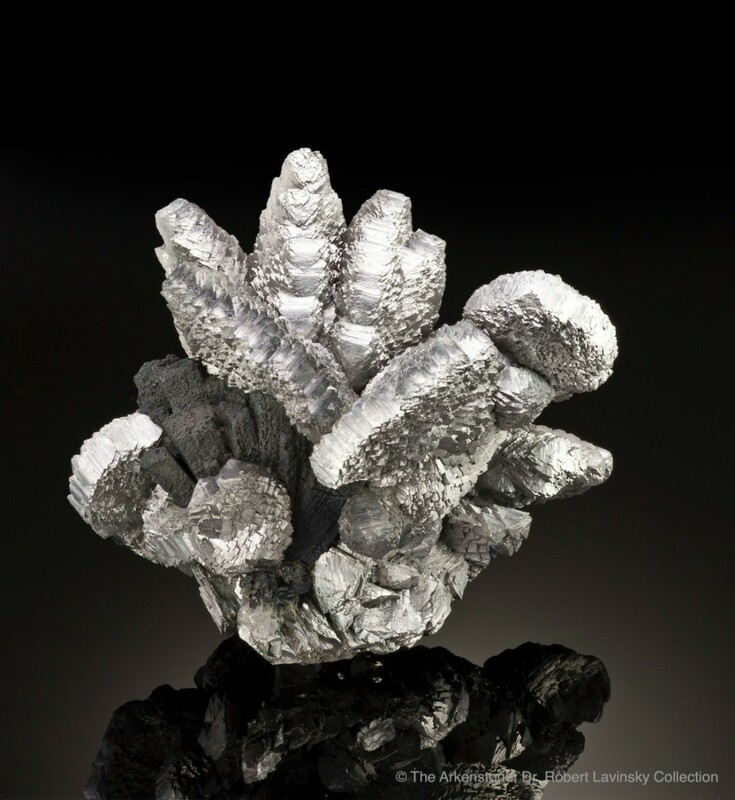 Many private corporations, operating jointly with state-owned companies, have invested billions of dollars in the mining industry of Shanxi Province . 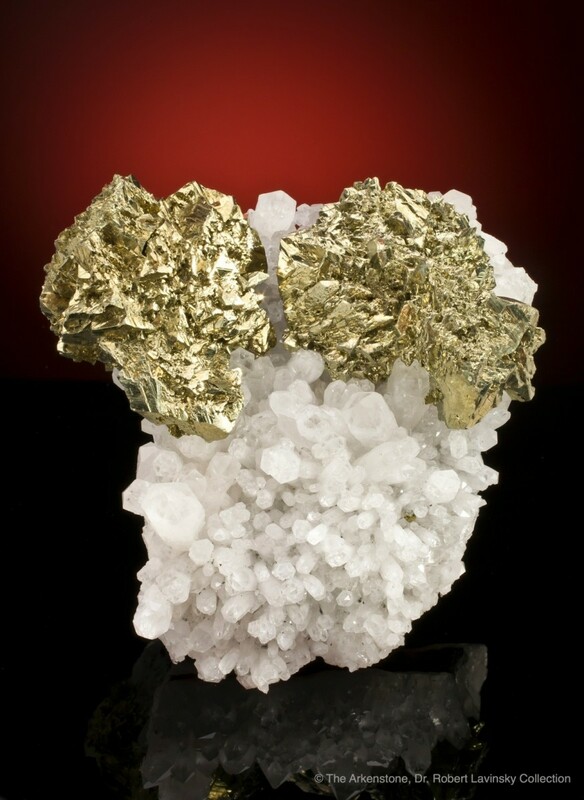 Foreign investors include mining companies from Canada, the United States, Japan, the United Kingdom, Germany and Italy. 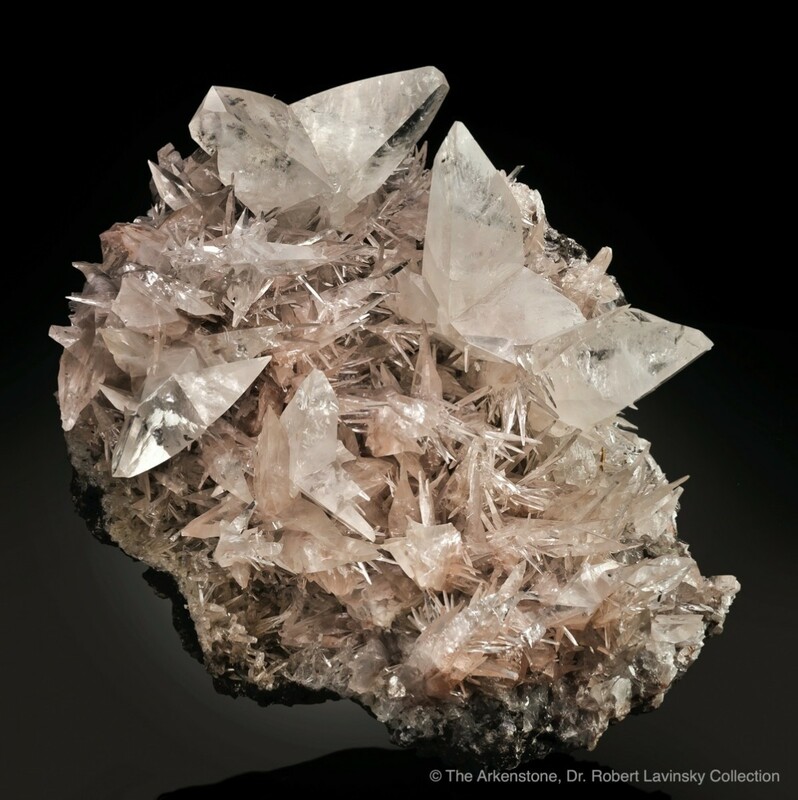 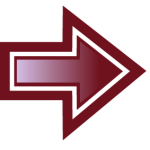 appearance or for their unusual mineral associations. 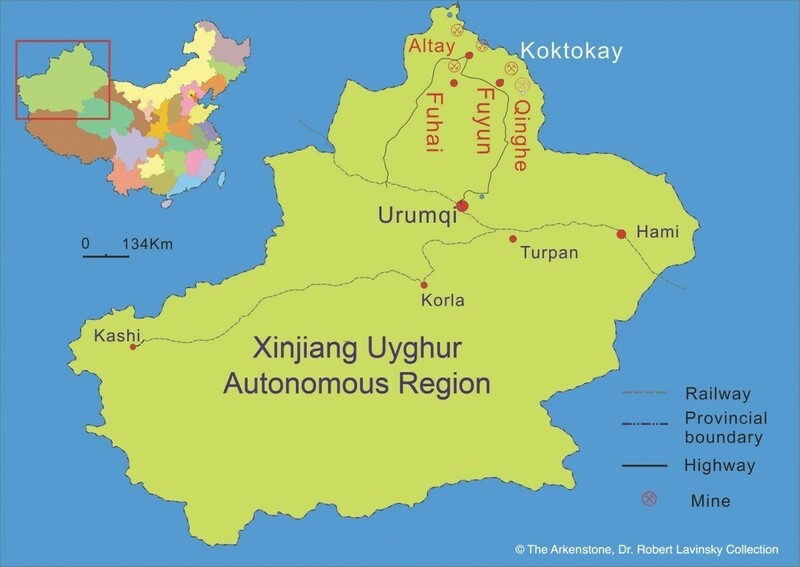 Xinjiang Uyghur Autonomous Region, located in northwestern China, covers over 1,600,000 km2, about one-sixth of China’s total territory, making it China’s largest province. 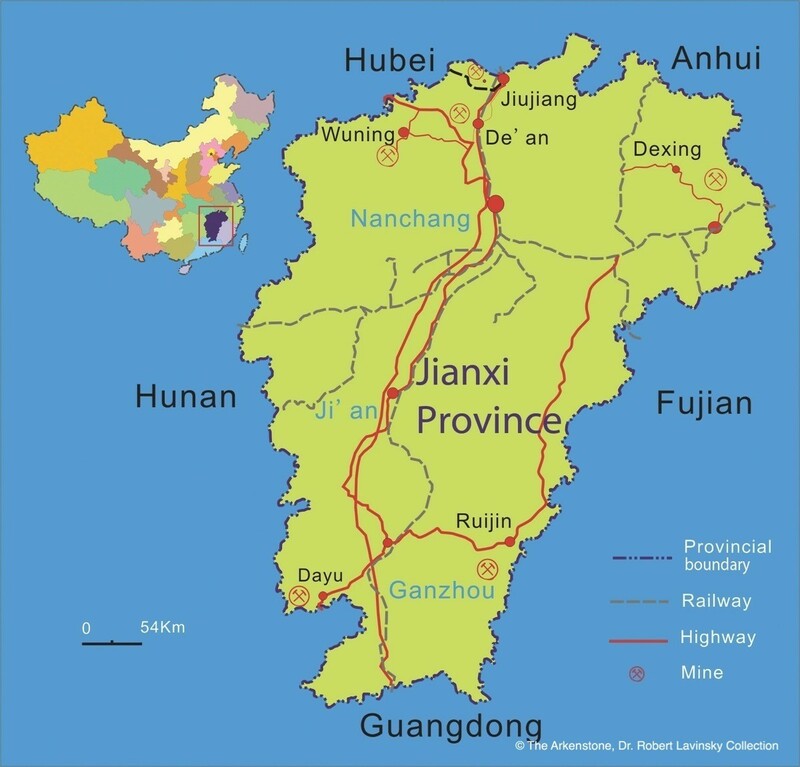 But its population is only 1.4% of the country’s total. 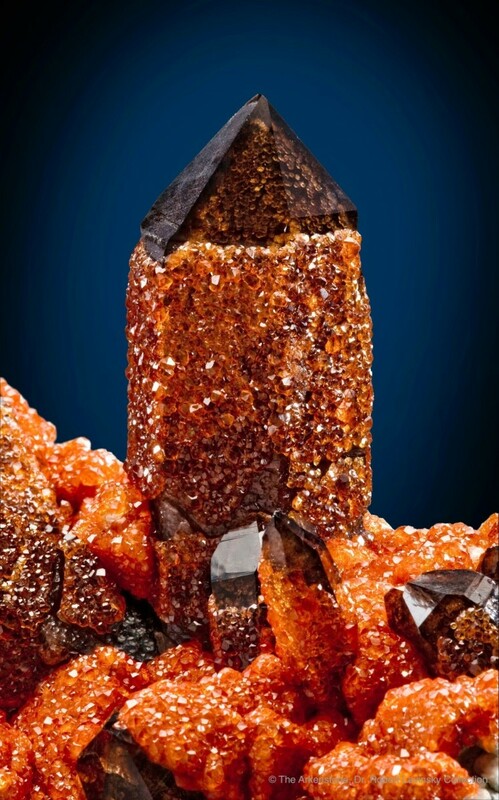 Xinjiang, with its large reserves of various metallic ores, has a bright future for collectible minerals. 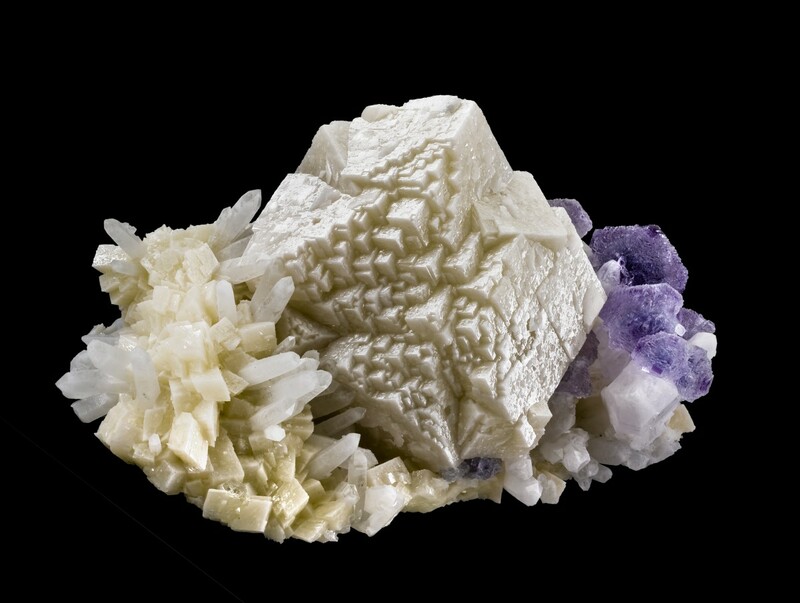 A total of 138 different mineral species have been documented from Xinjiang, including abundant gold, chromium, copper, nickel and rare earth deposits. 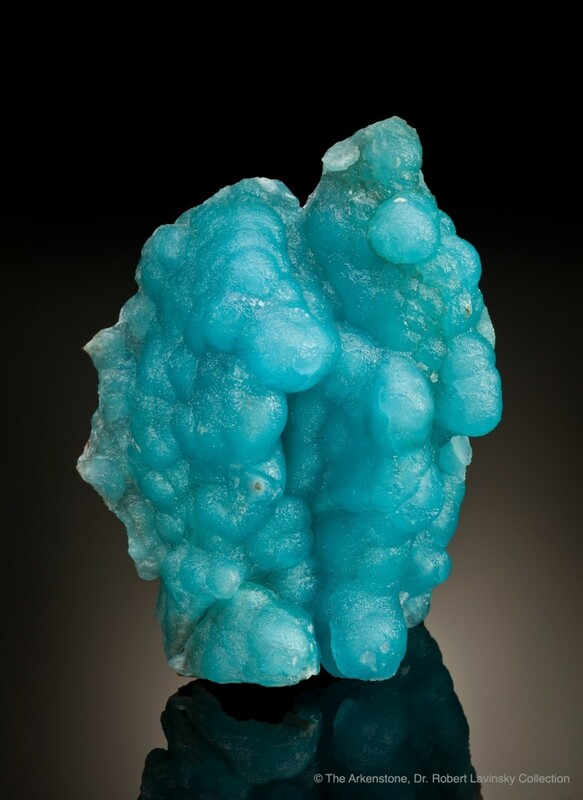 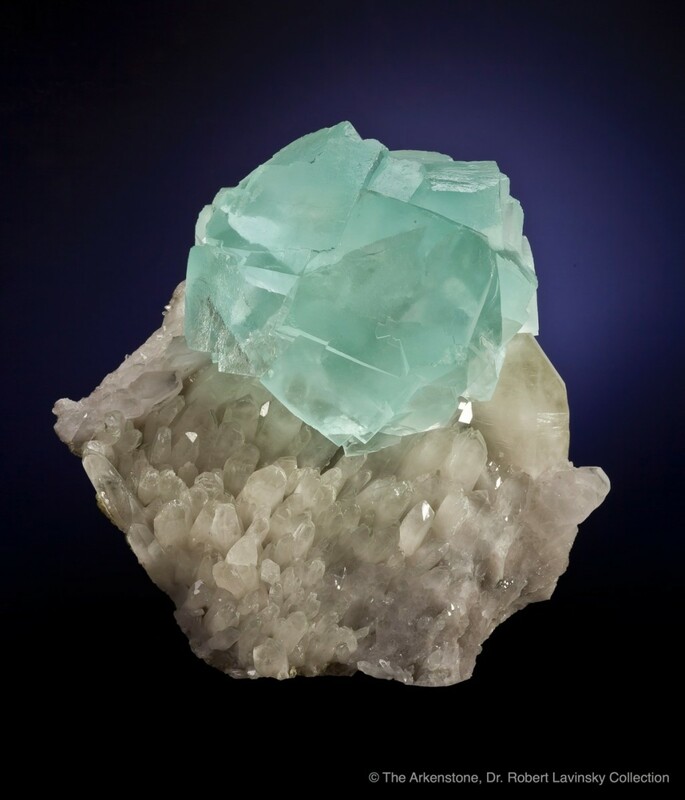 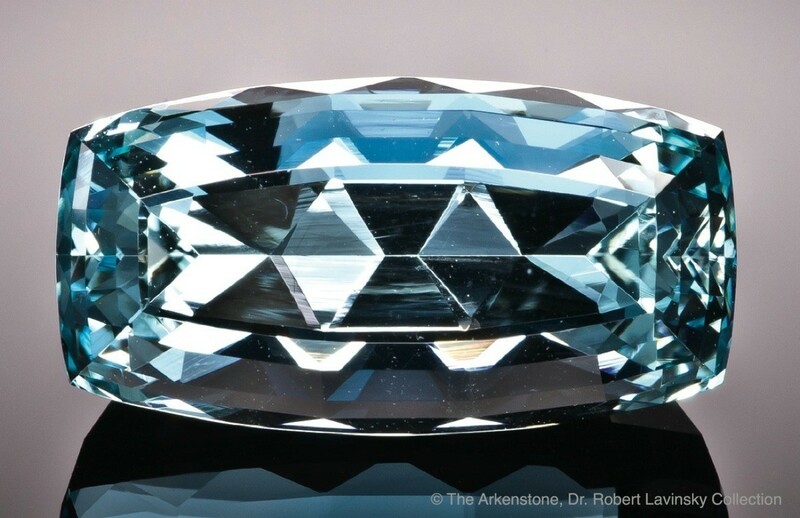 Xinjiang is also China’s most important gemstone-producing region and is particularly well known for its aquamarines. 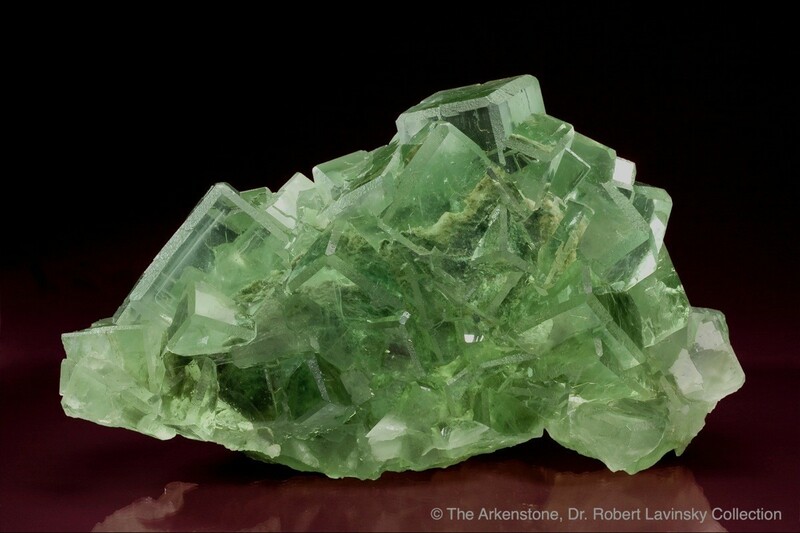 The major localities for gem beryl are distributed through the Altai Mountains, though notable localities are also found in the Junggar basin and the Tianshan Mountains. 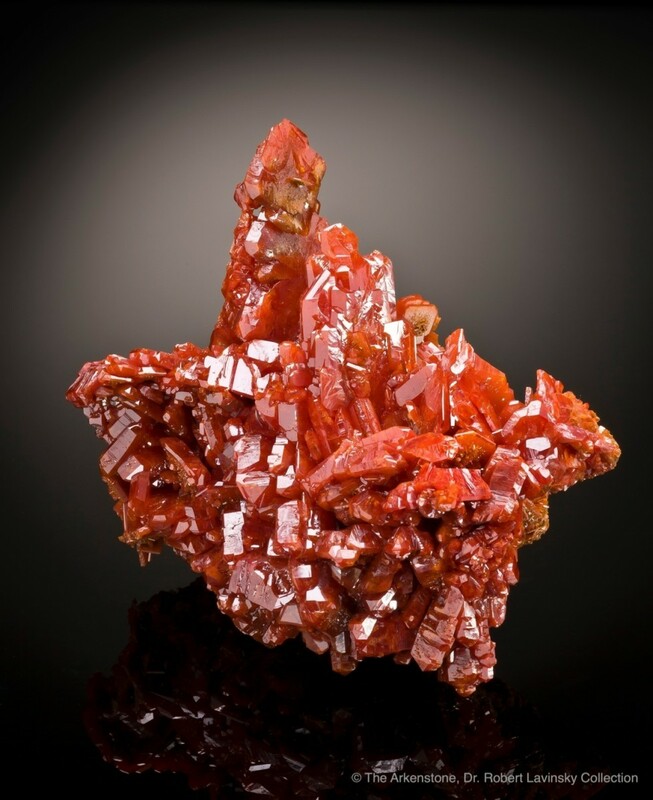 Yunnan Province is a very important mineral and gemstone producing area containing China’s largest reserves of tin, lead, zinc and copper. 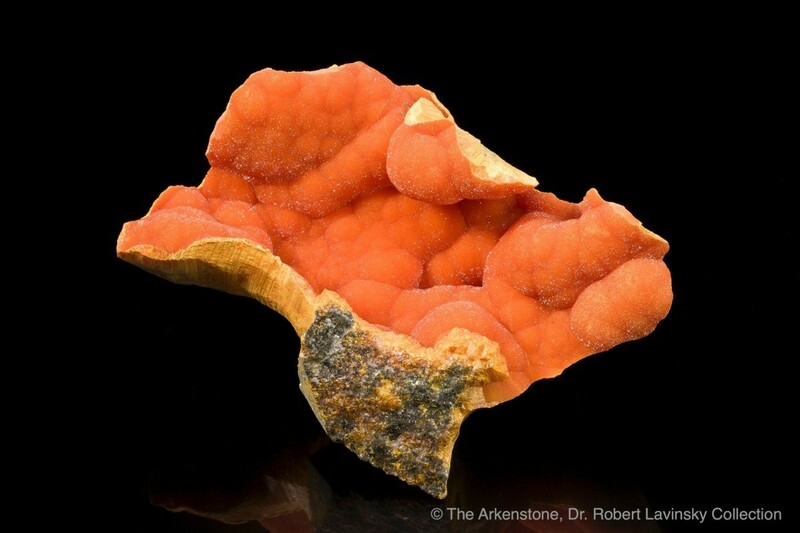 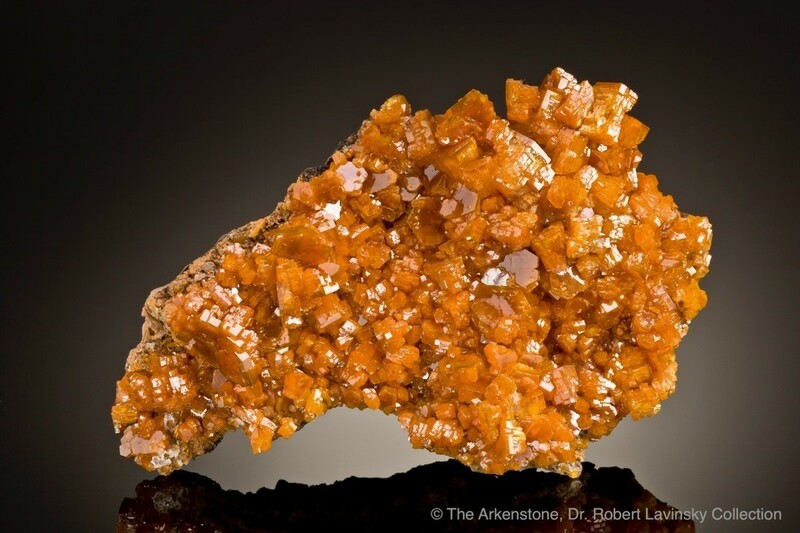 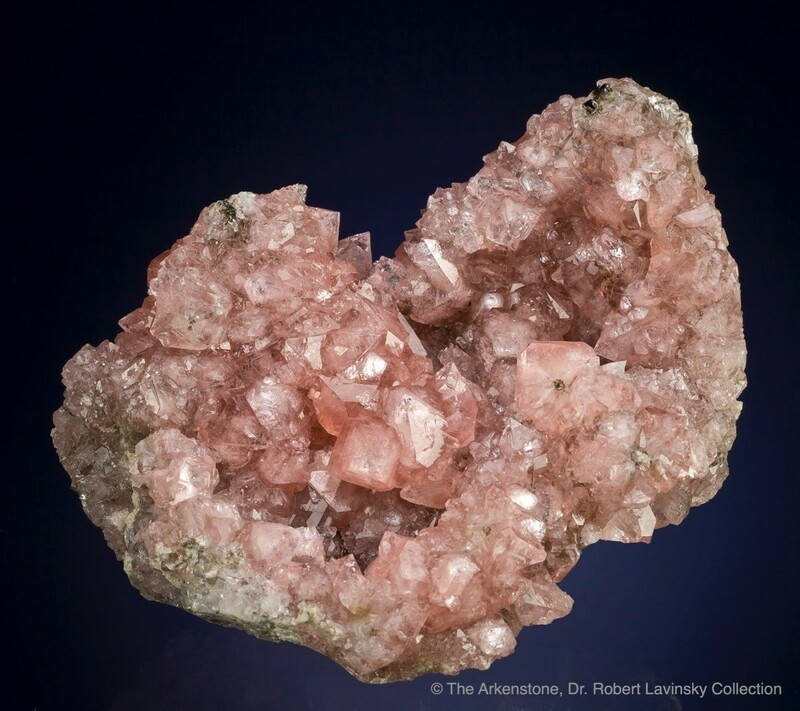 There are plenty of mineral localities containing collectible specimens, but only a few of them are widely known. 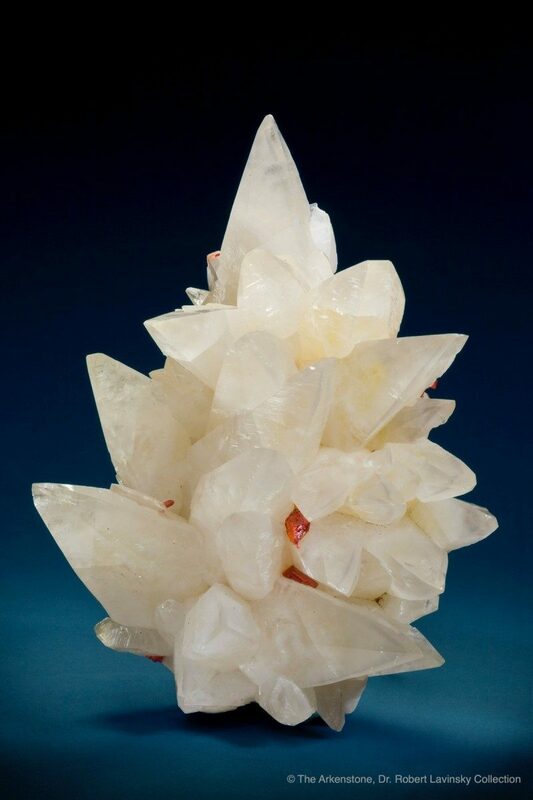 Of these, the mineral and gemstone specimens produced in the Ximeng, Wenshan, Malipo, Maguan, Tengchong, Weishan, Yuanyang, Honghe, Yuanjiang, Jingping, and Fugong areas are particularly admired by crystal collectors. 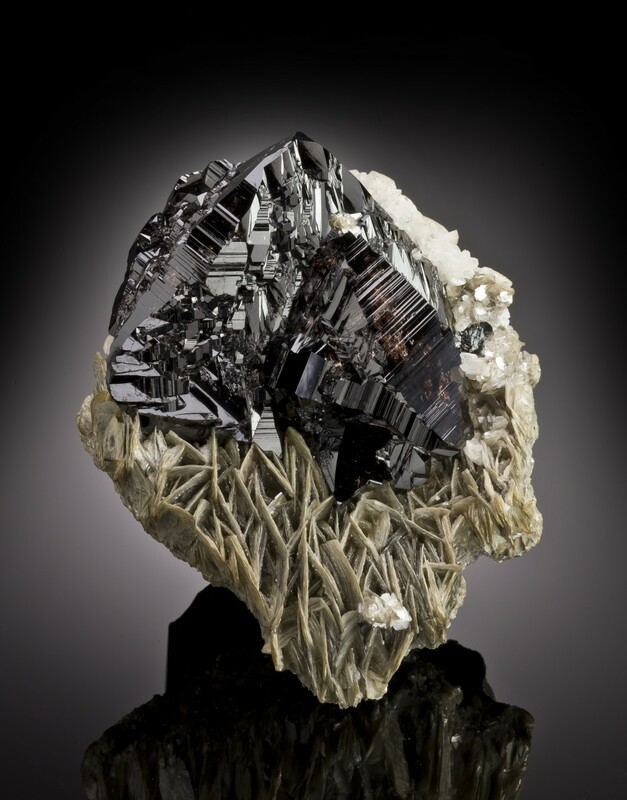 For example, the cassiterite from the Ximeng mine is noted for its bright luster, large crystal size and beautiful transparency.